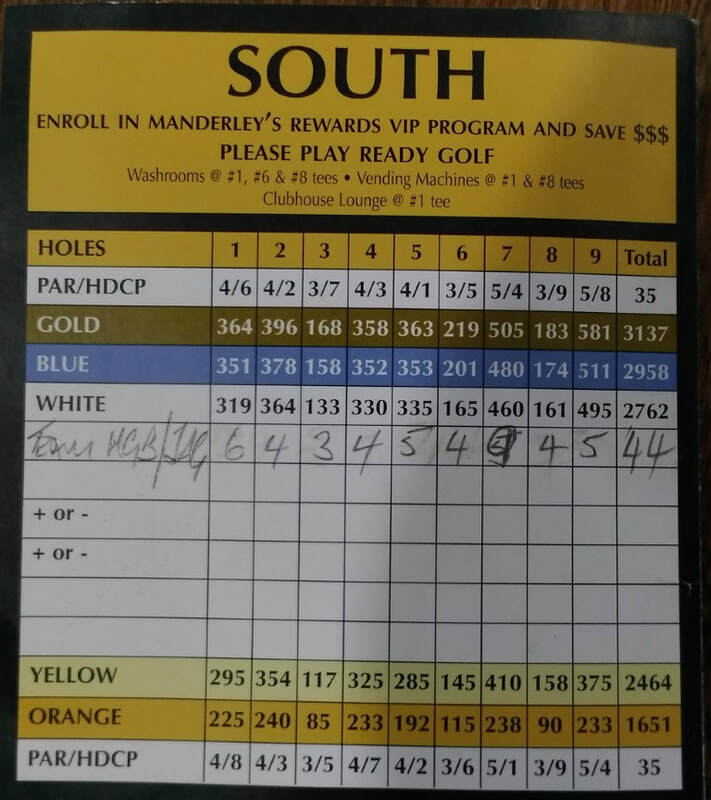 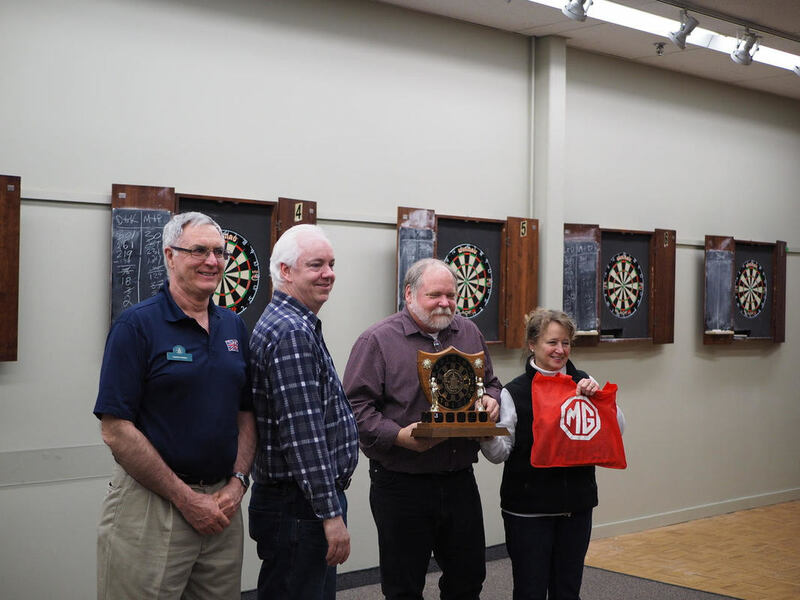 Great way to kick off the club's activities in 2018. 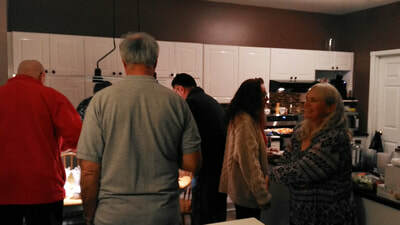 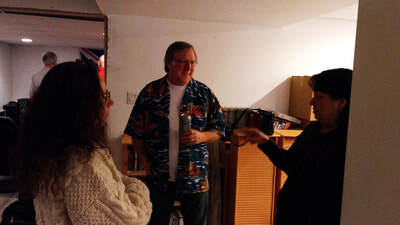 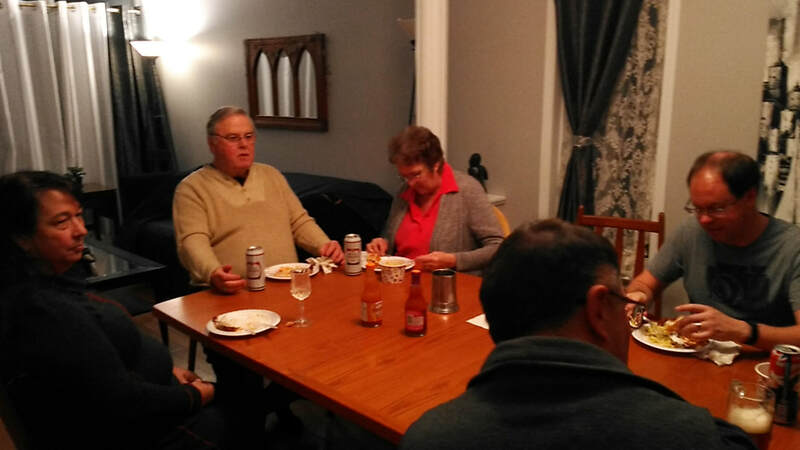 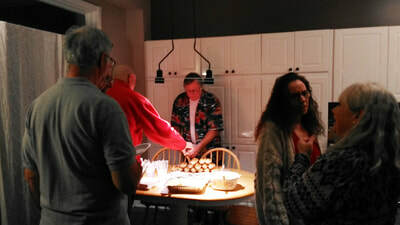 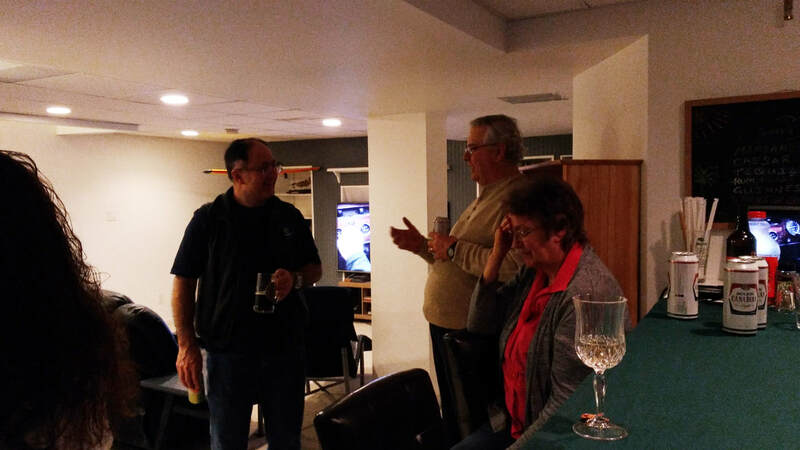 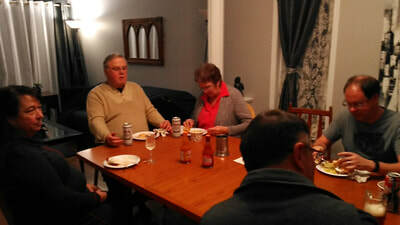 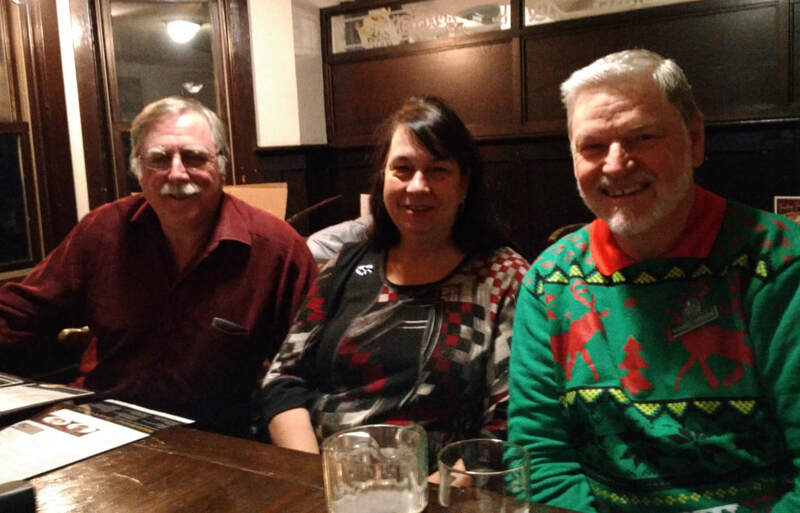 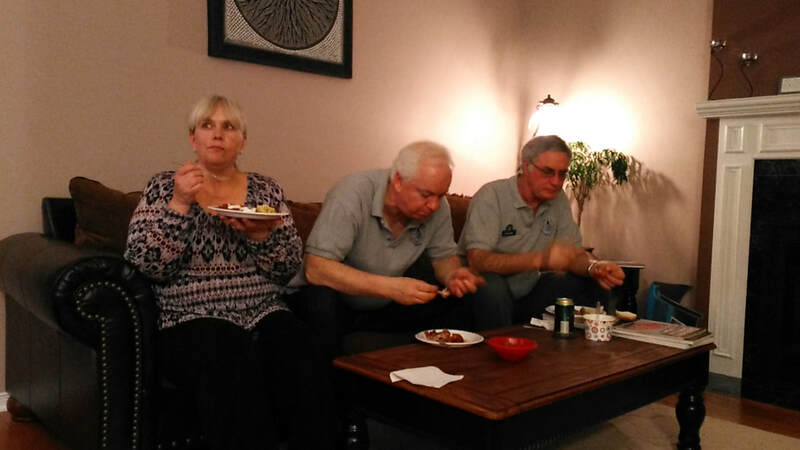 ​Many thanks to David and Belinda Batten for hosting our Winter Bash this year. 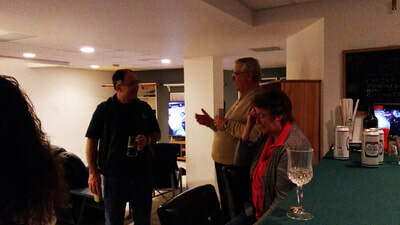 As usual a great time was had by all, and the food and company were fantastic. 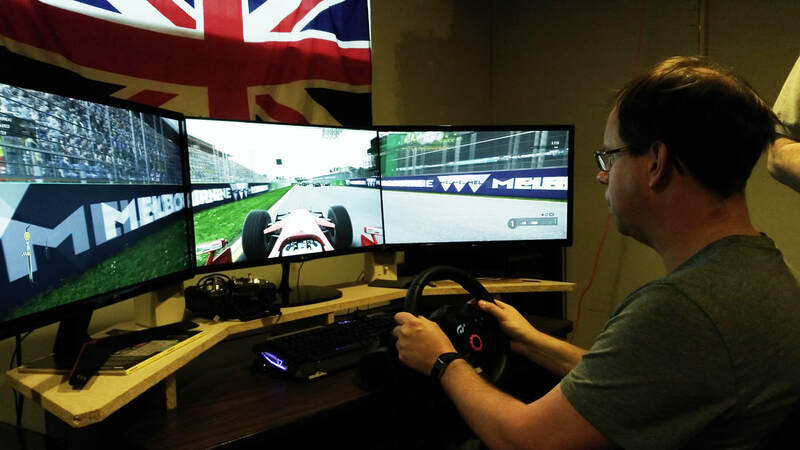 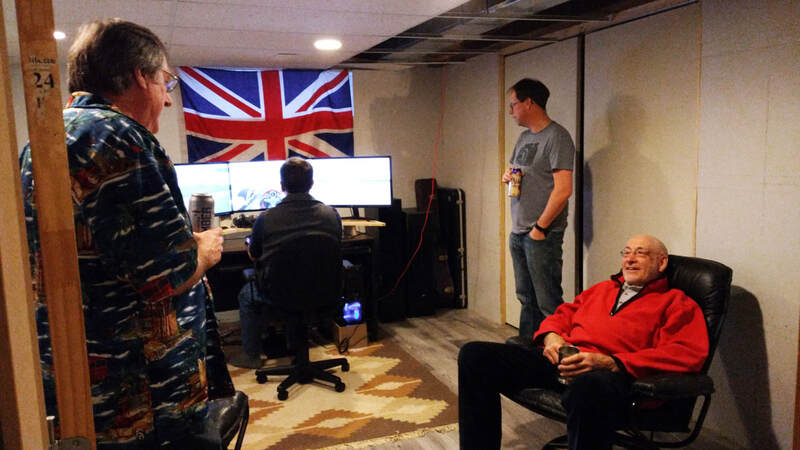 There may be a few new racing simulators on the "boys" shopping lists in the near future! 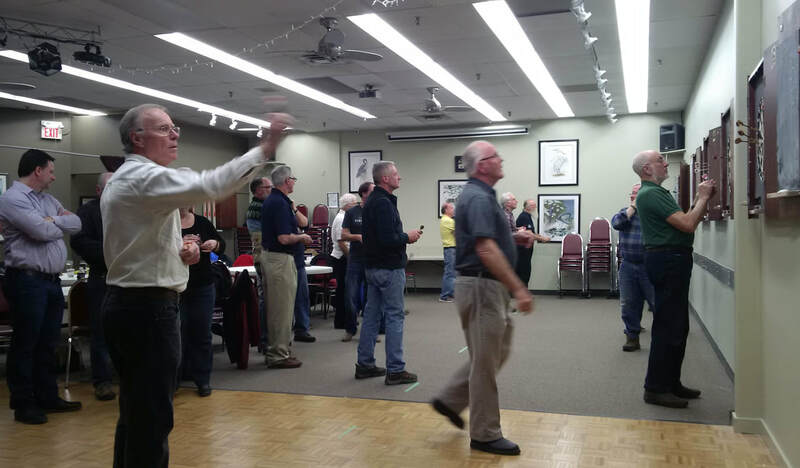 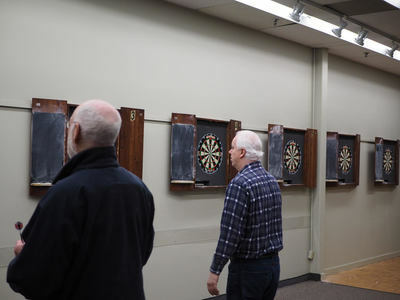 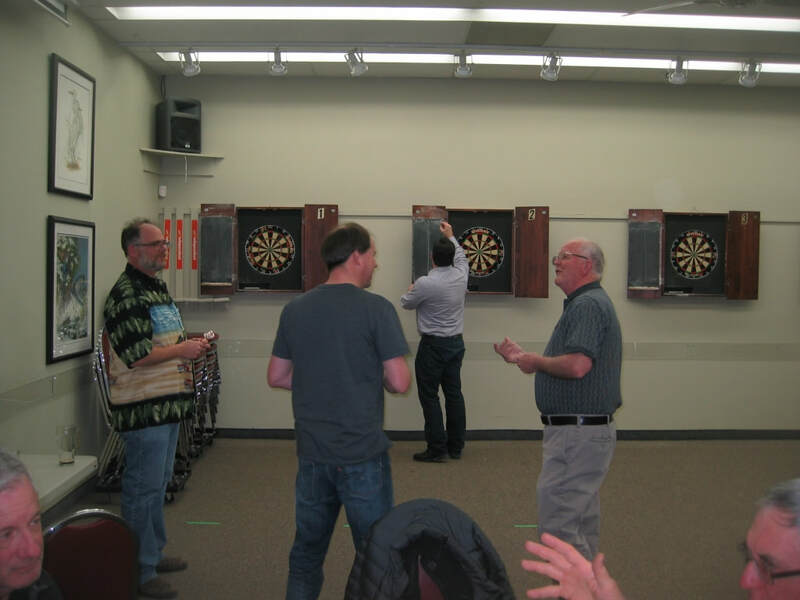 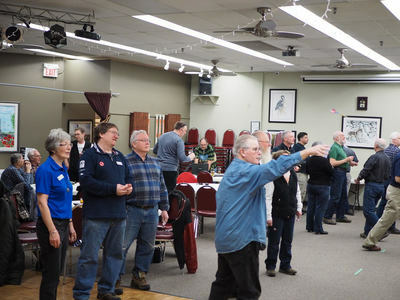 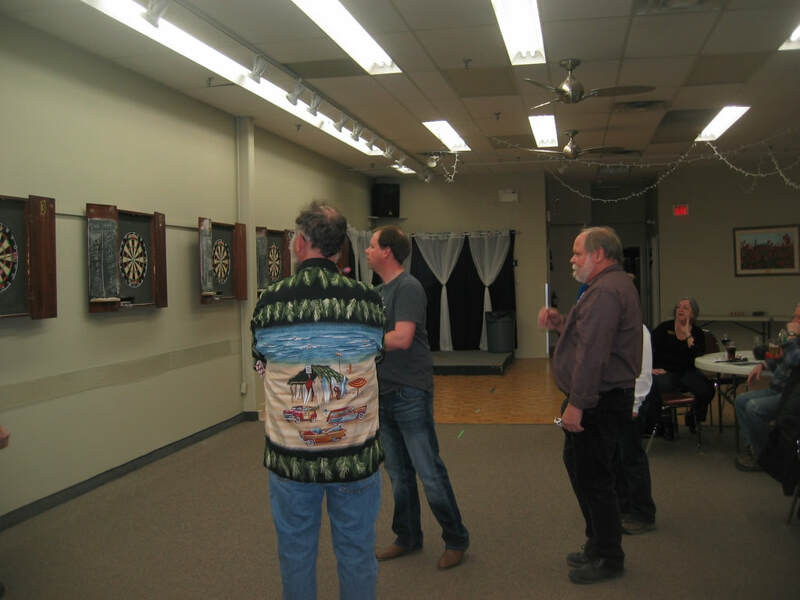 Another successful and enjoyable darts tournament this year with 14 teams participating. 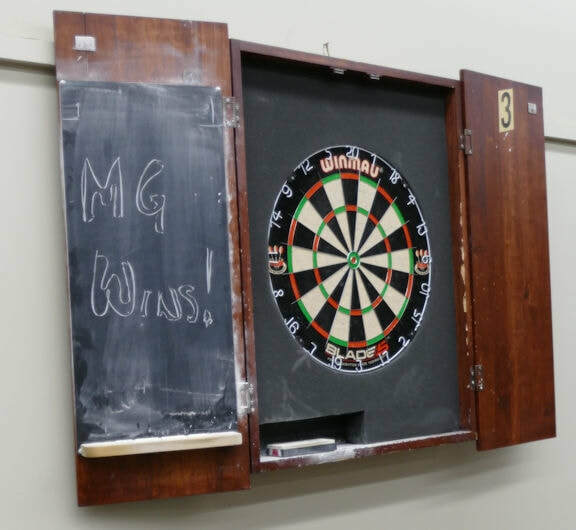 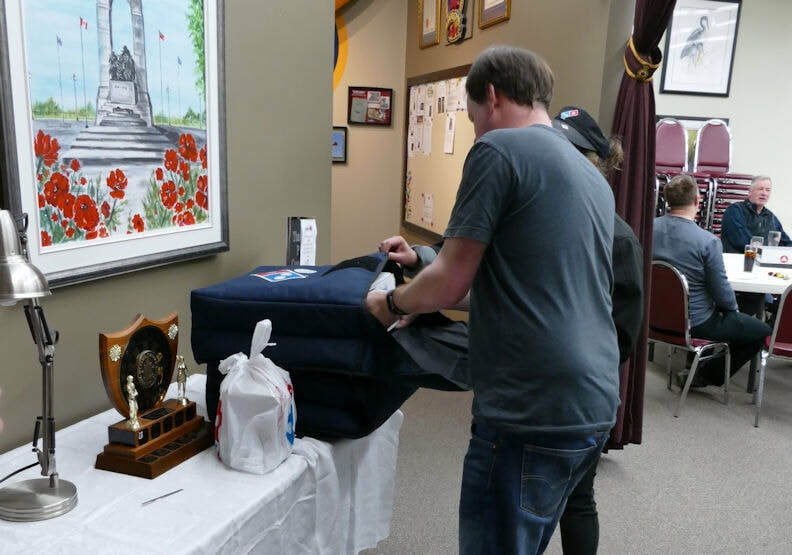 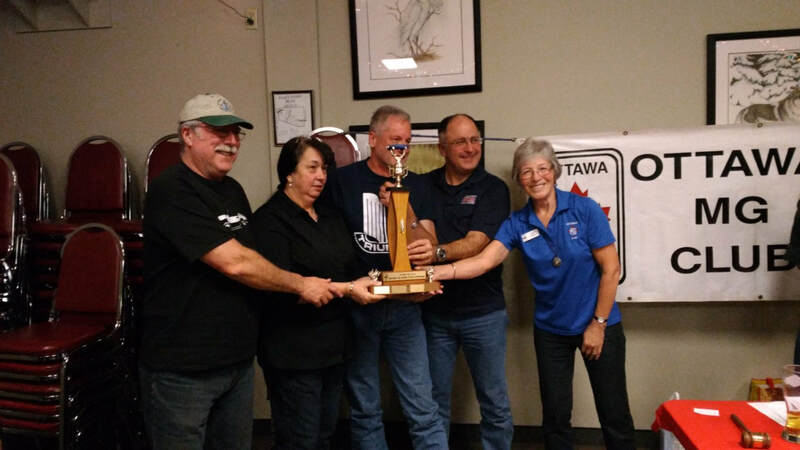 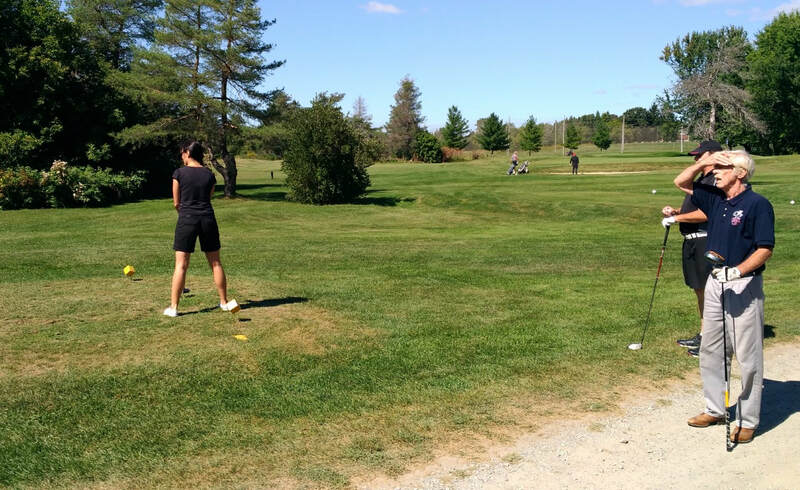 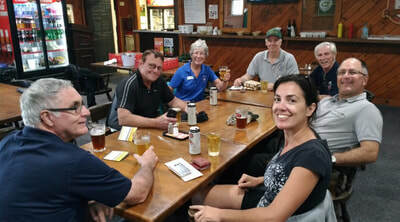 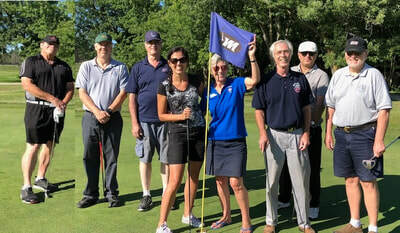 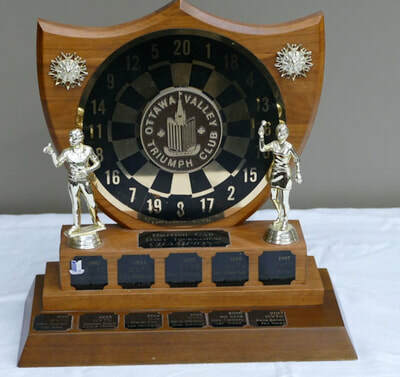 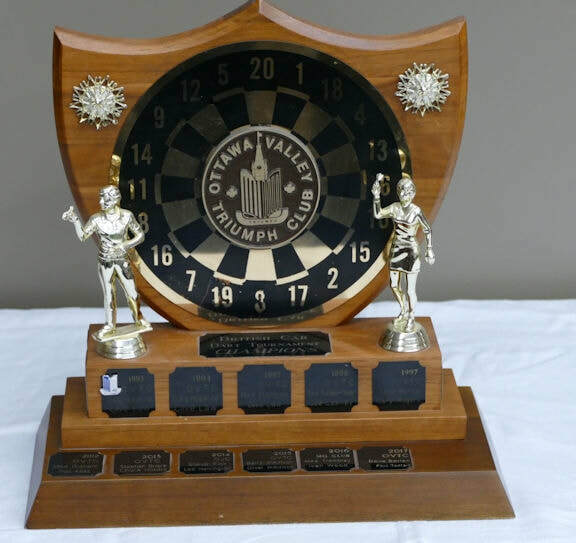 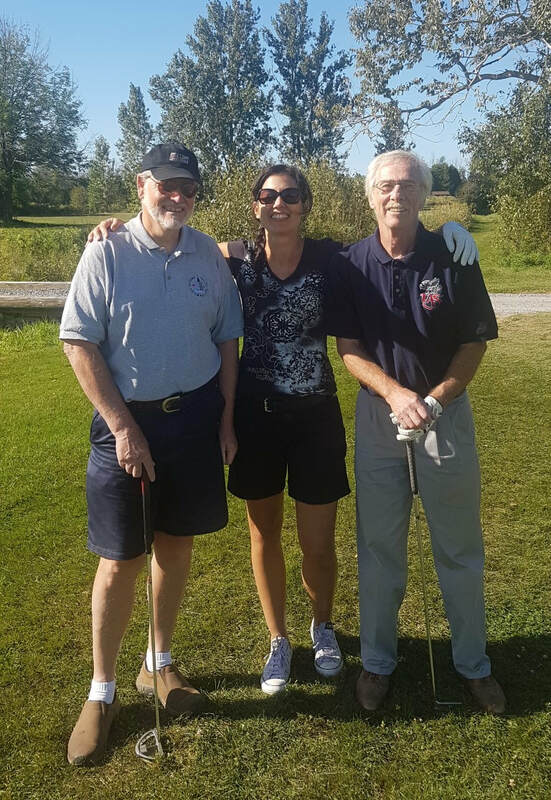 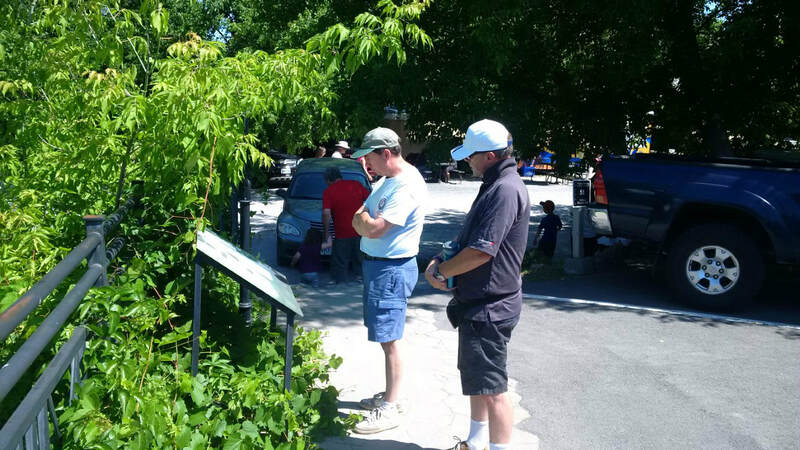 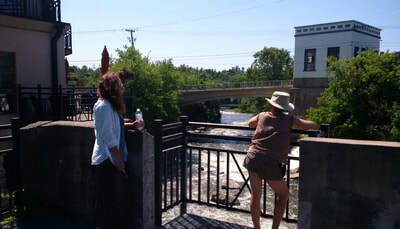 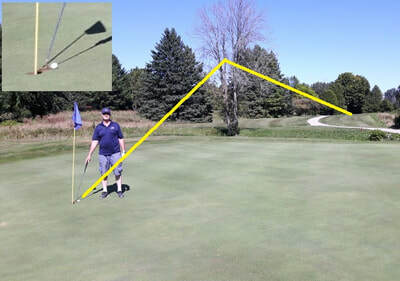 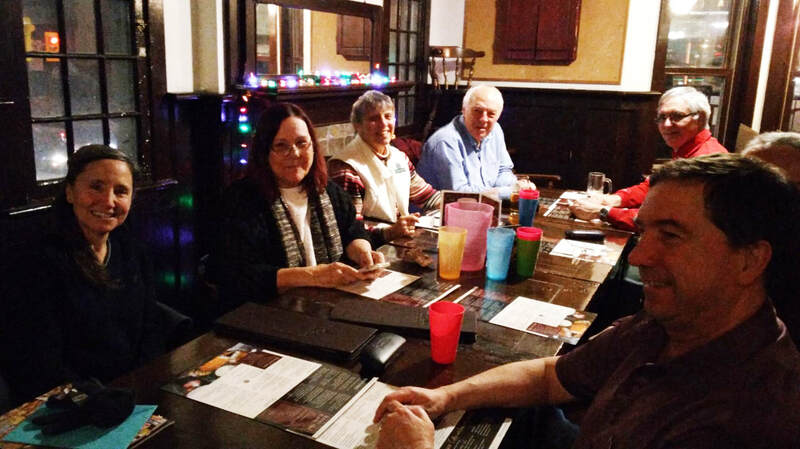 ​Congratulations to MG club members Bill and Andrea MacTavish who emerged as the winners. They defeated Martin Burtt and Paul Winter of the Triumph club in the final. 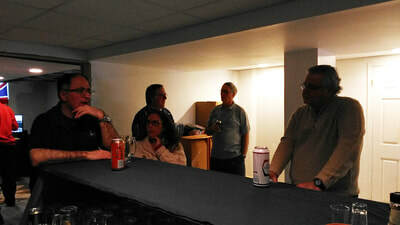 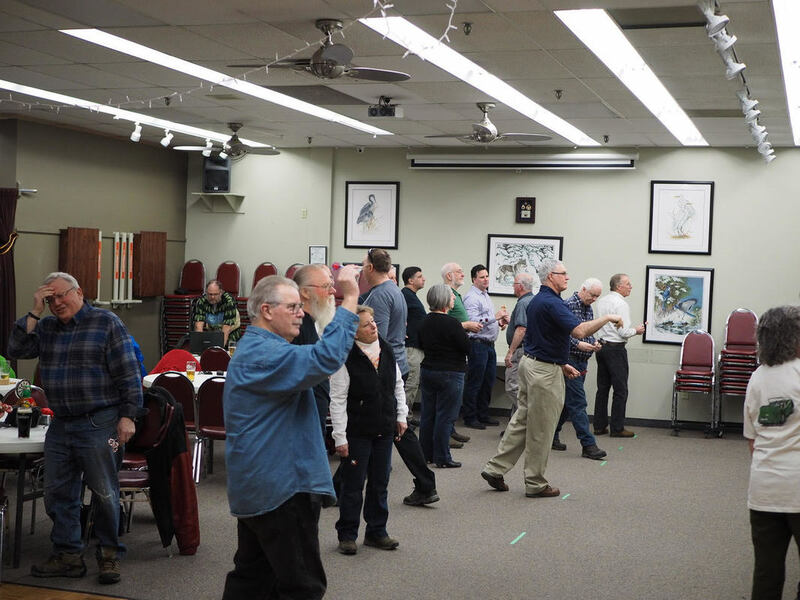 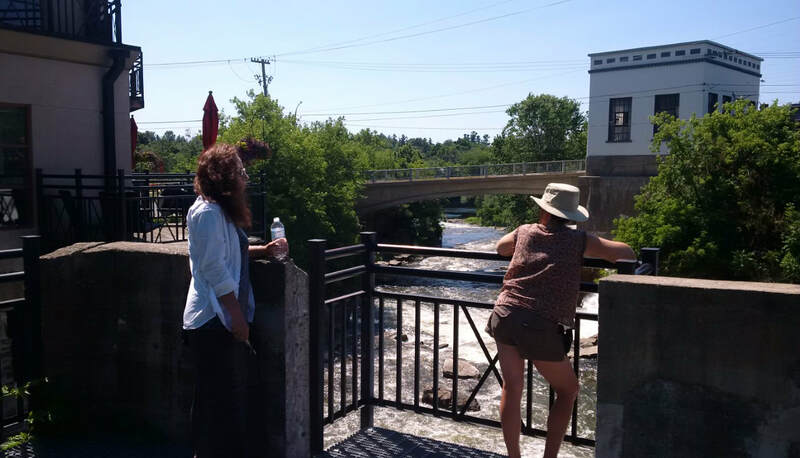 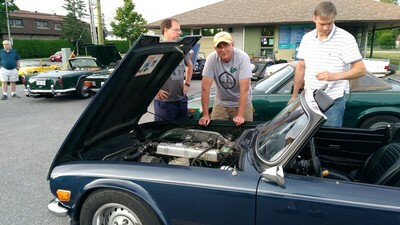 Thanks to Trish Adams of MG club, and Mike S and Paul W. of OVTC for providing pictures. 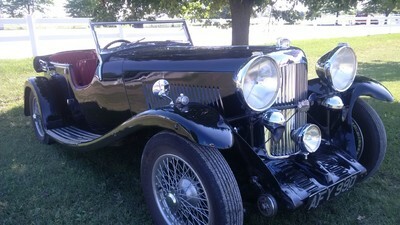 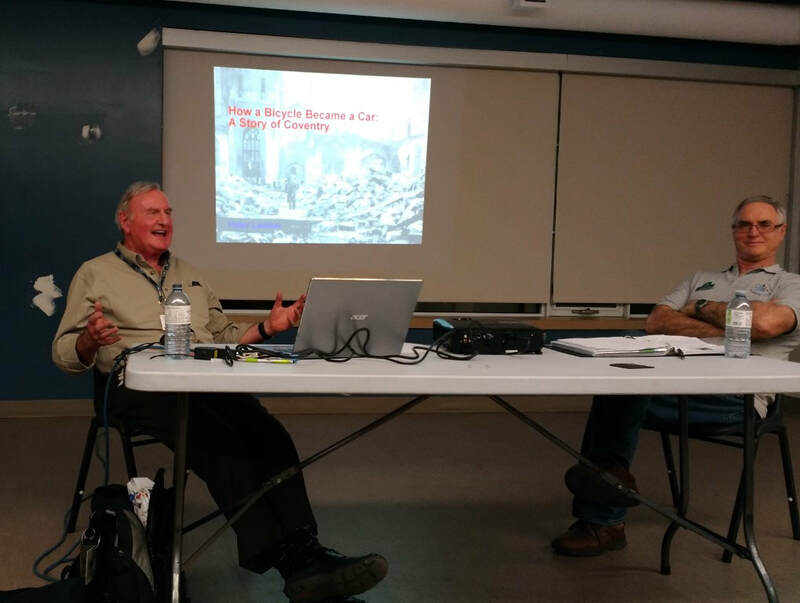 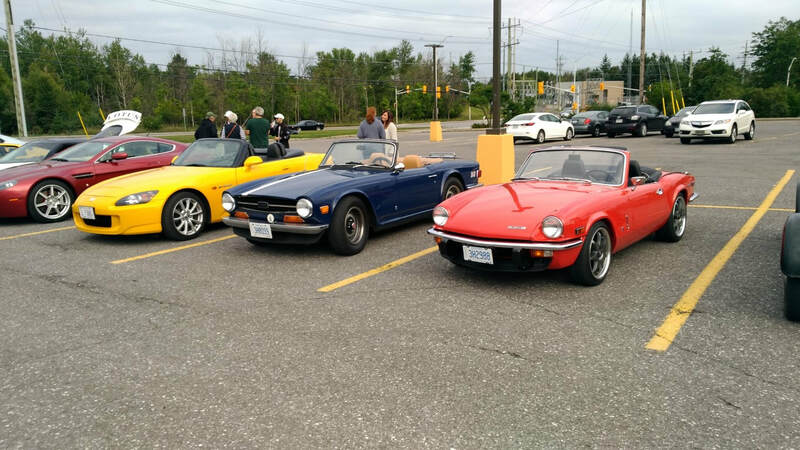 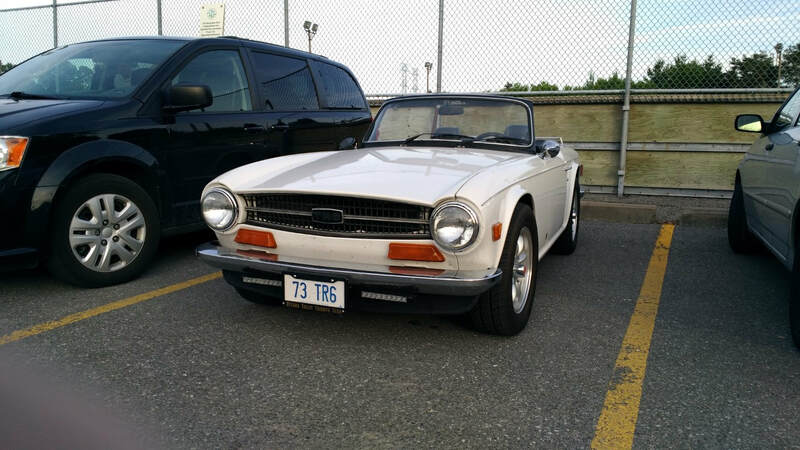 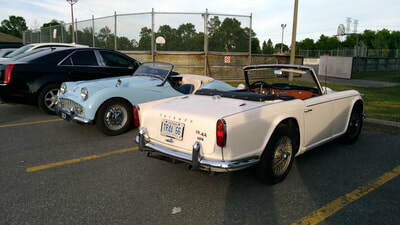 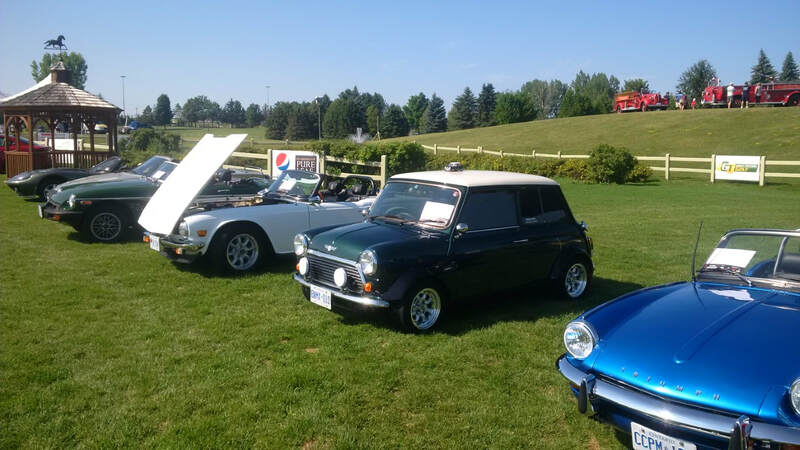 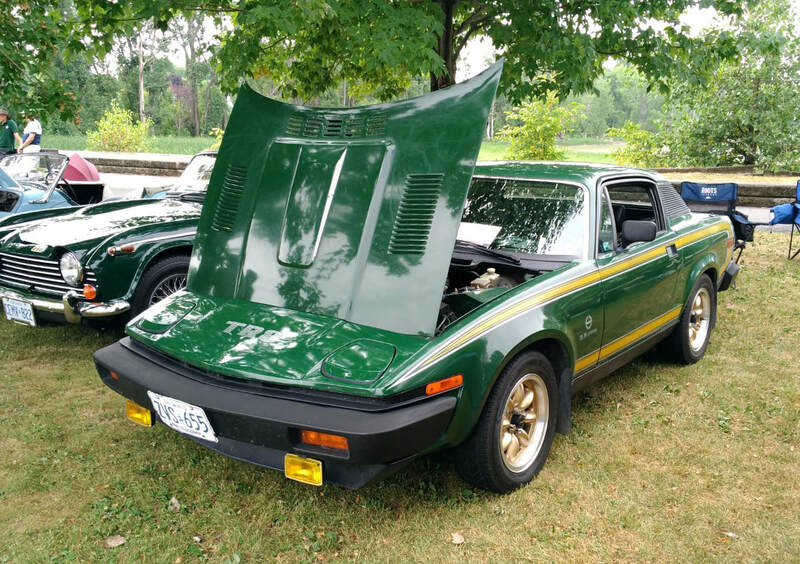 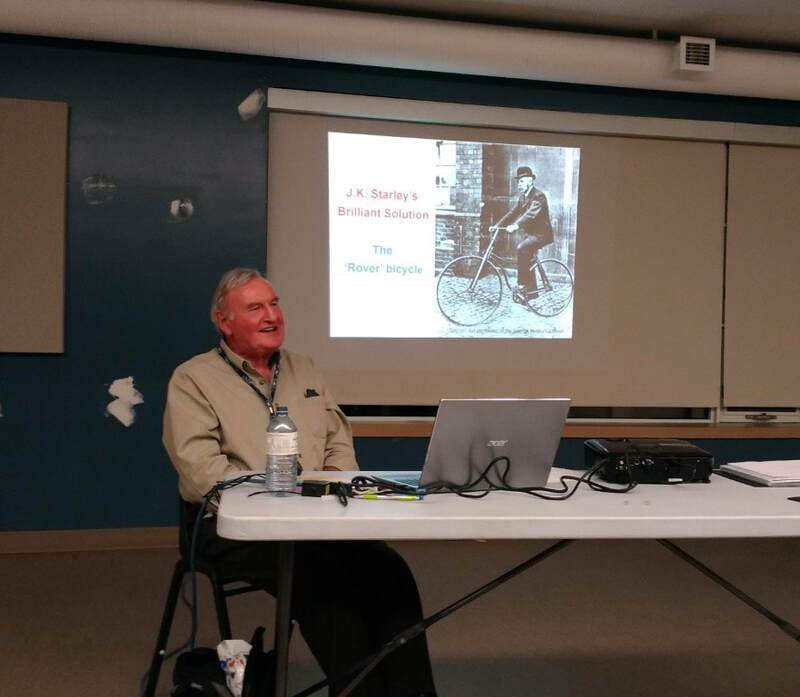 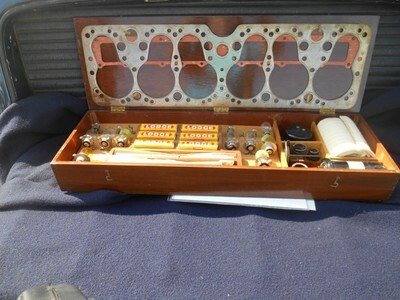 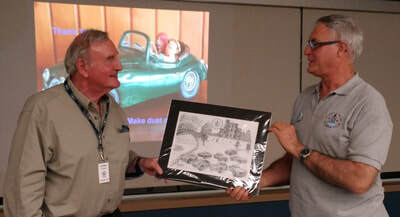 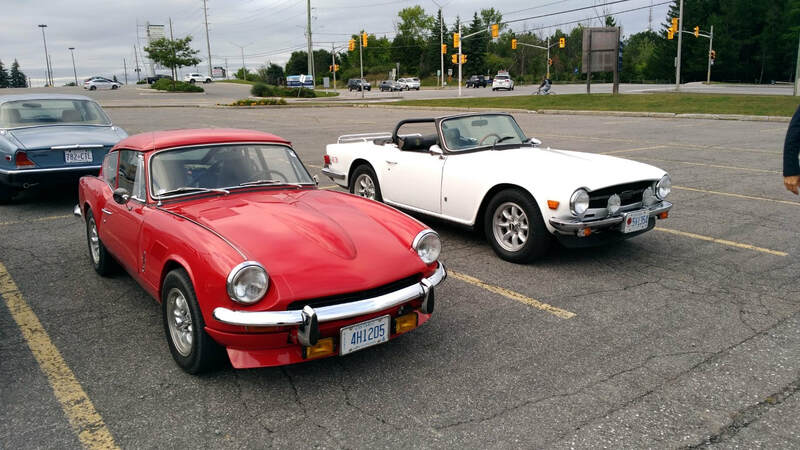 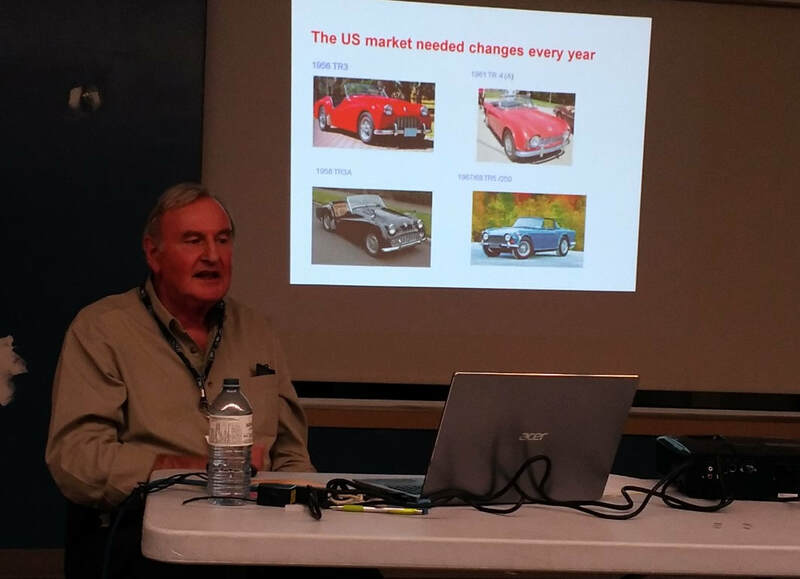 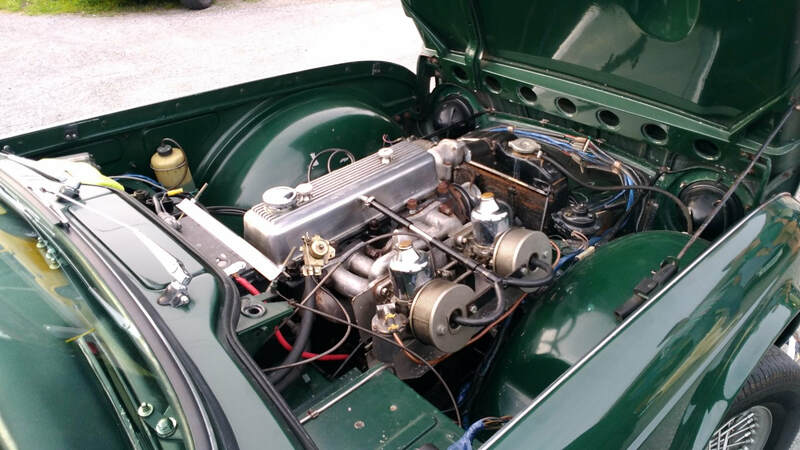 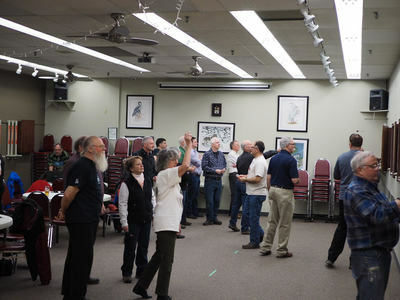 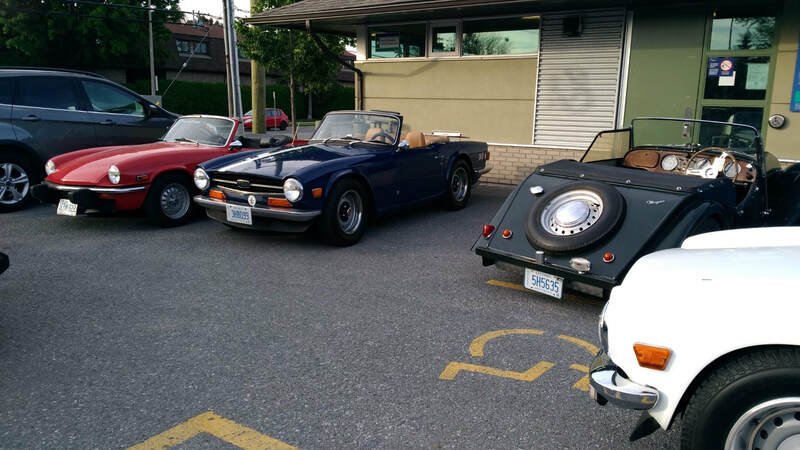 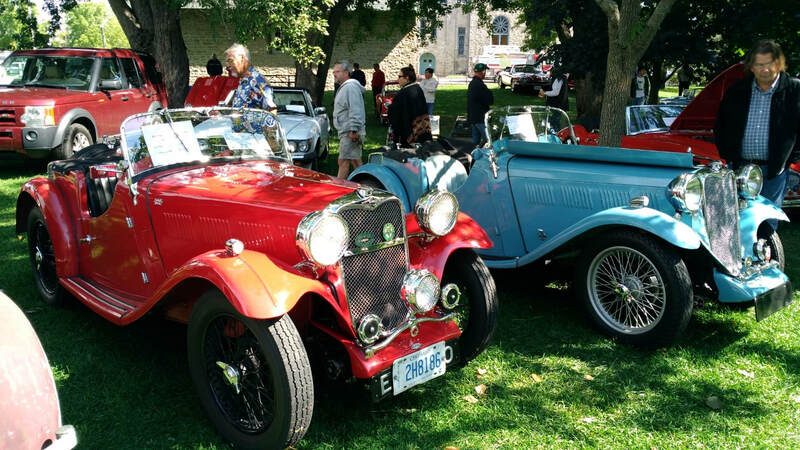 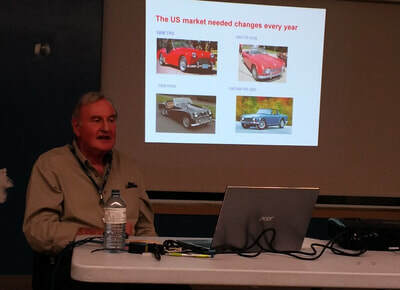 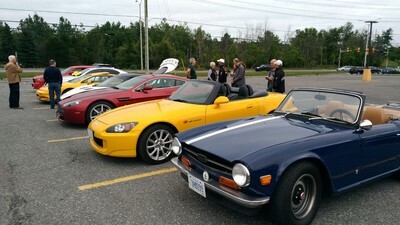 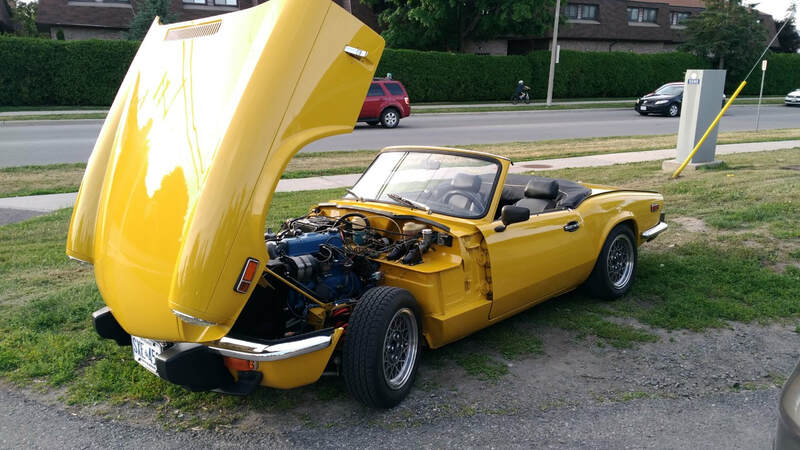 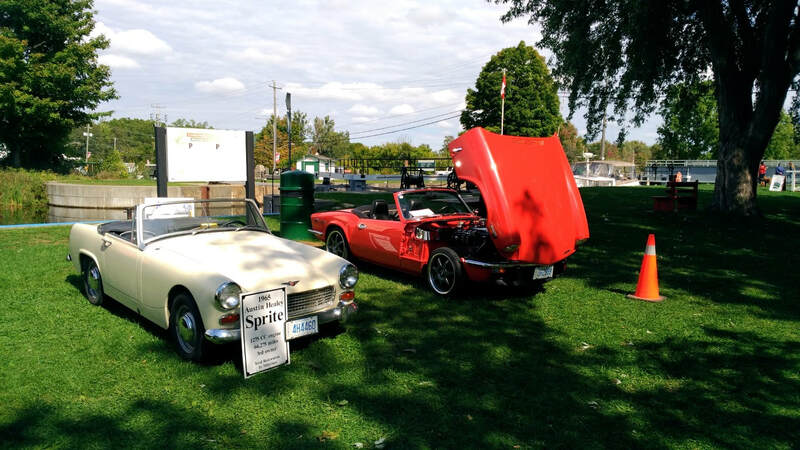 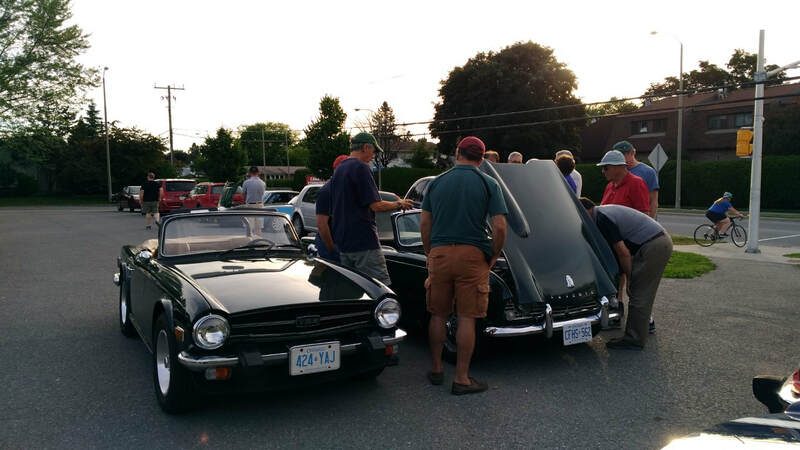 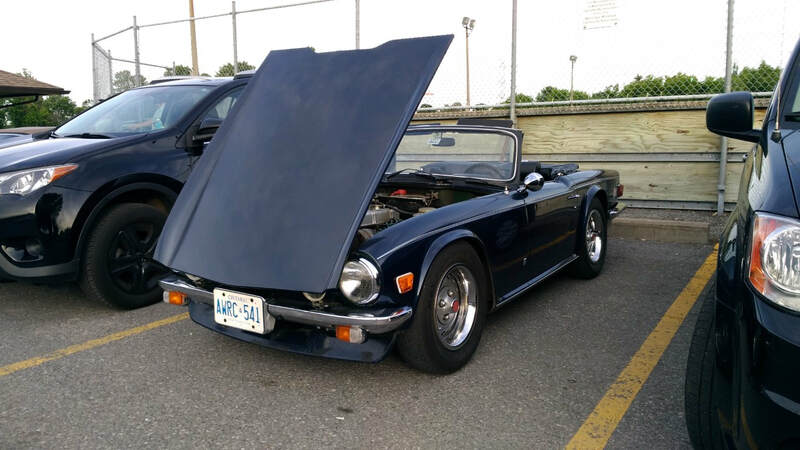 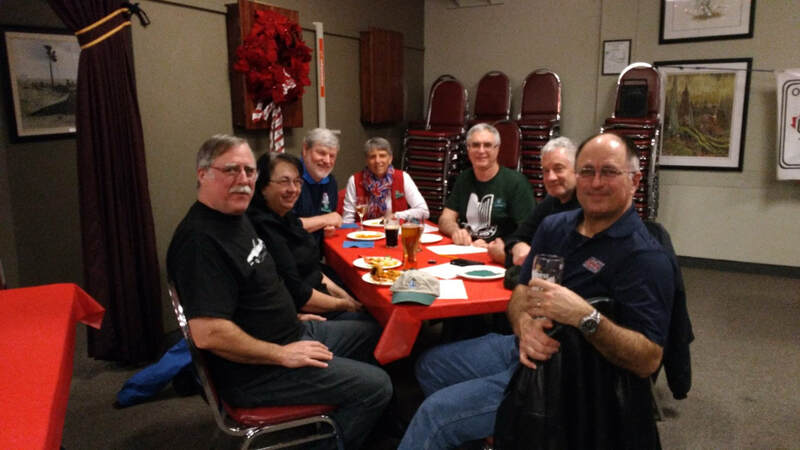 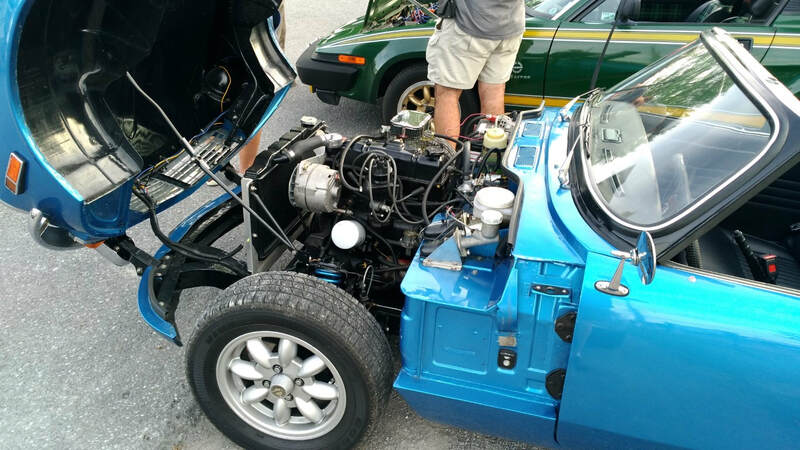 More pictures can be found on the Ottawa MG Club website. 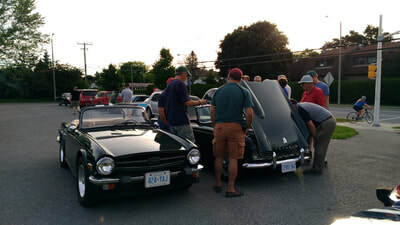 Beautiful evening, and great turnout of cars and members, both new and old. 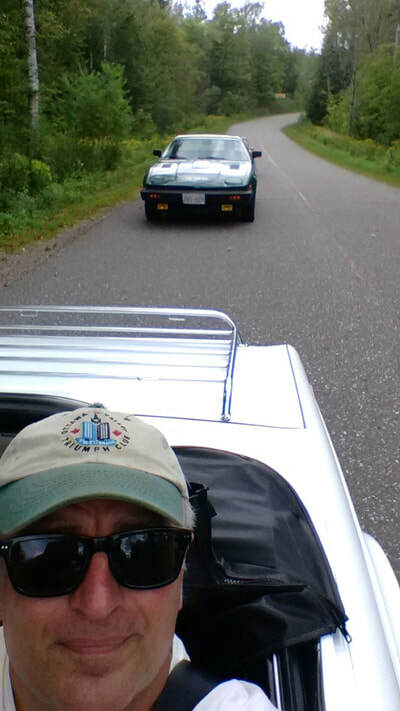 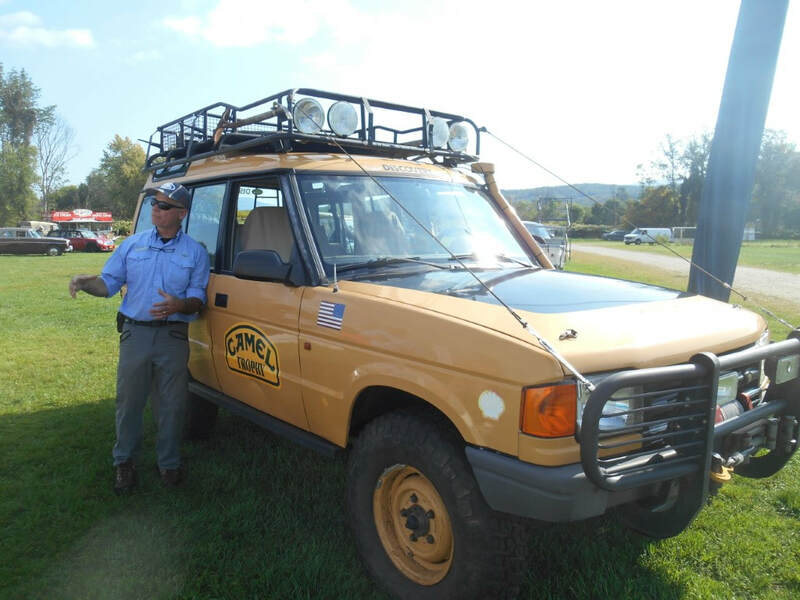 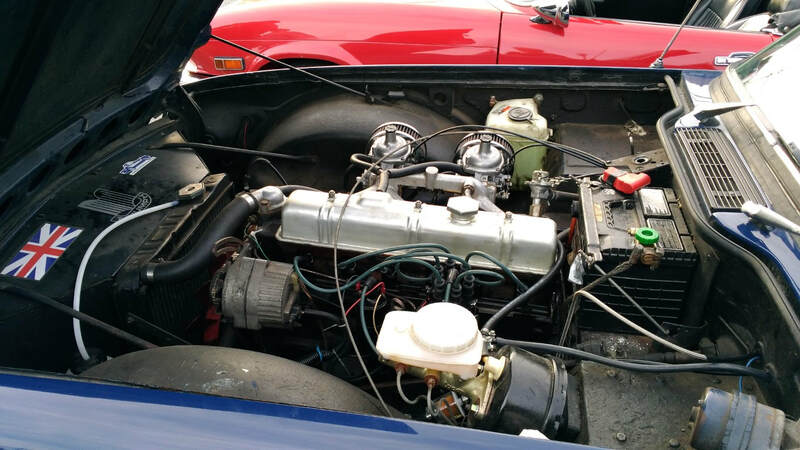 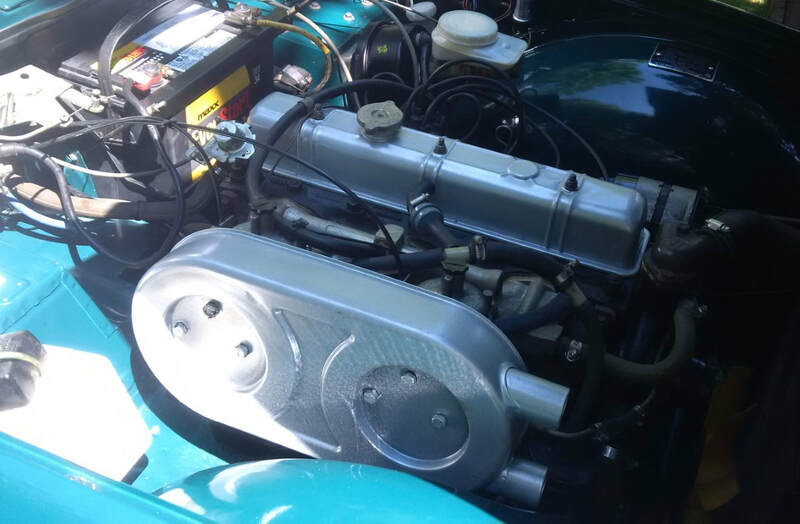 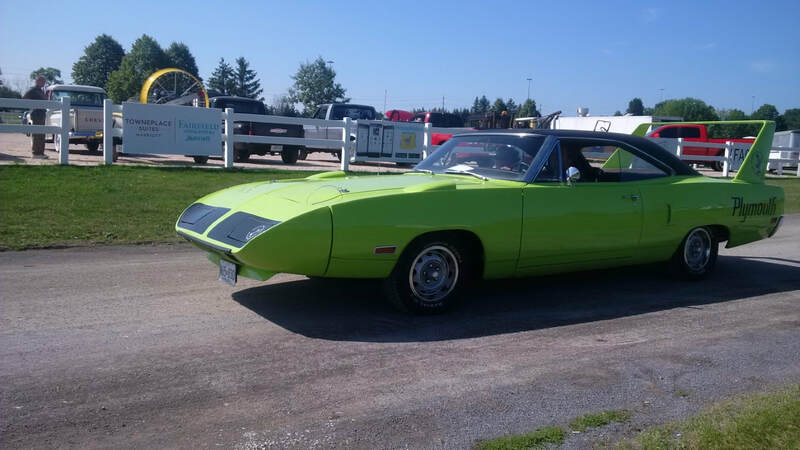 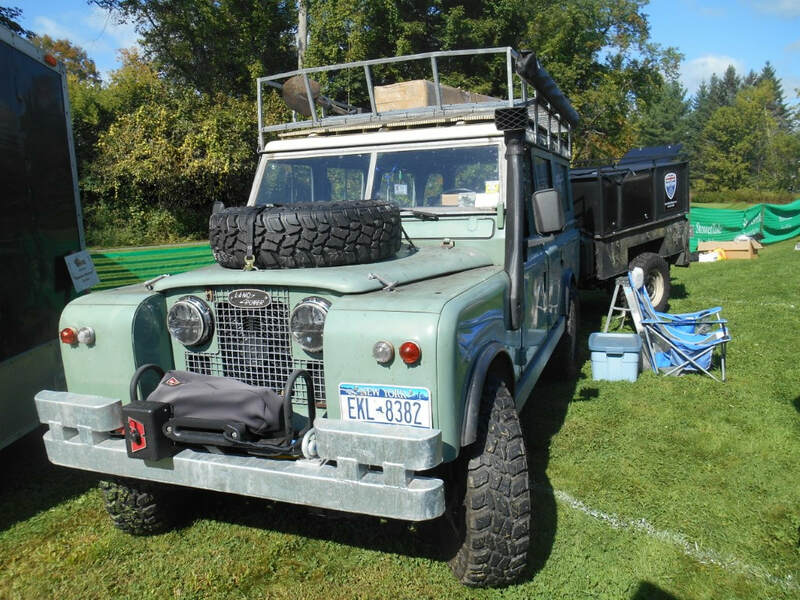 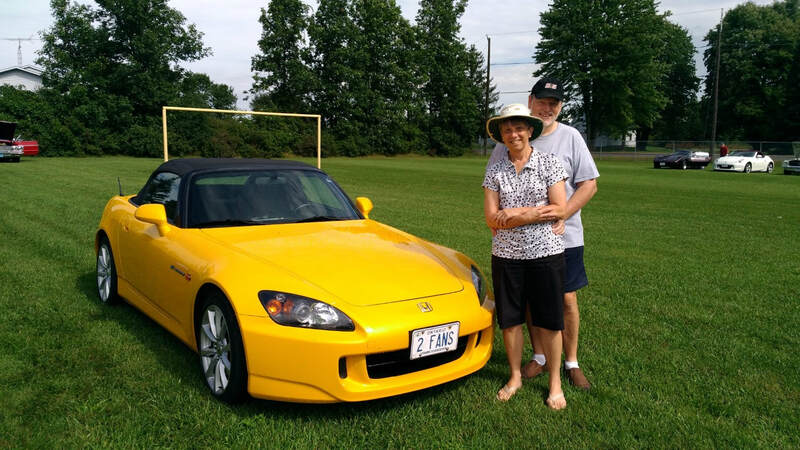 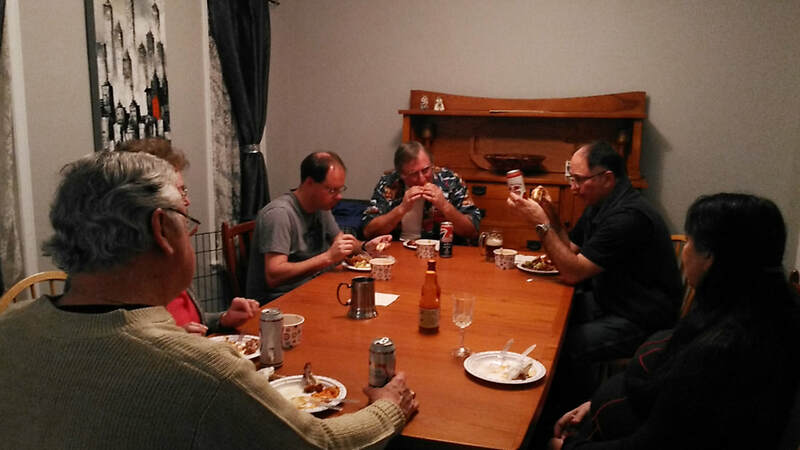 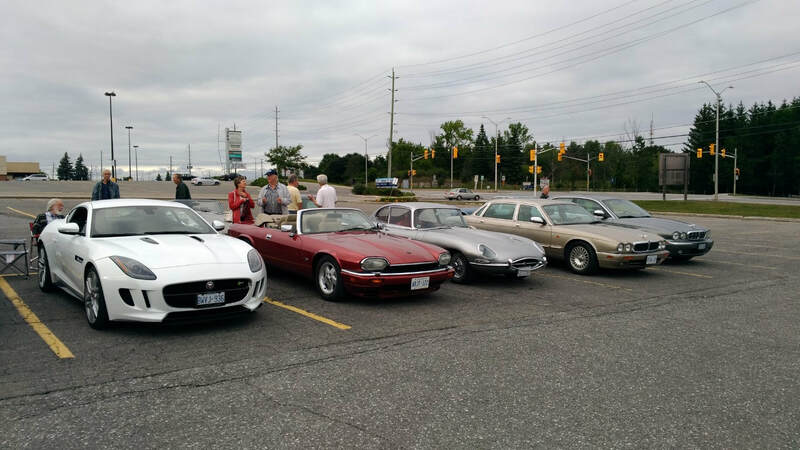 Thanks to Mike S. for organizing this drive and submitting the photos. 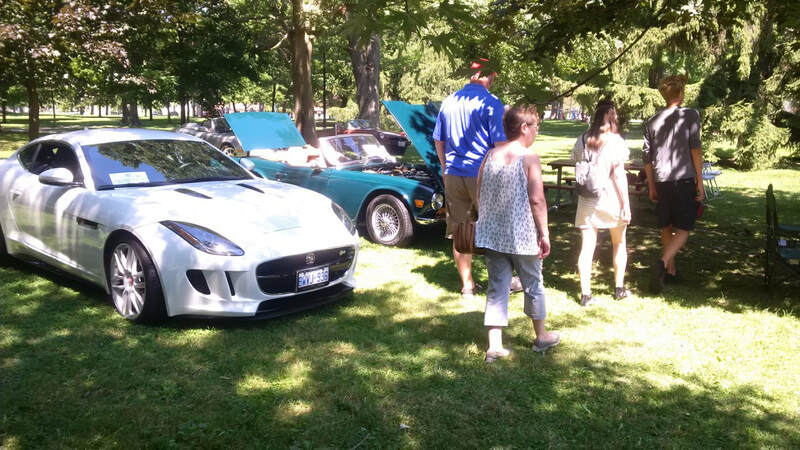 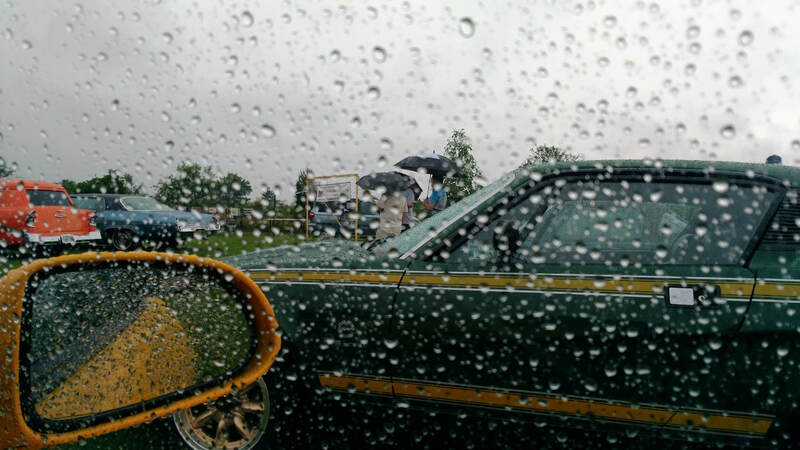 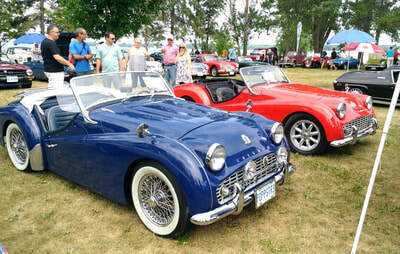 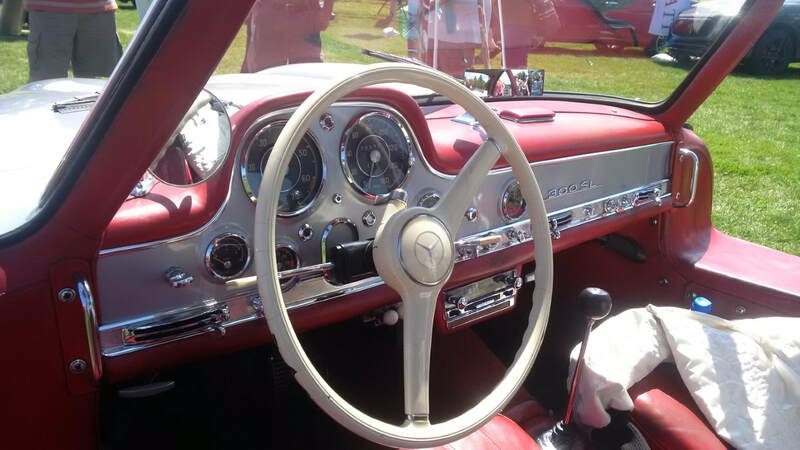 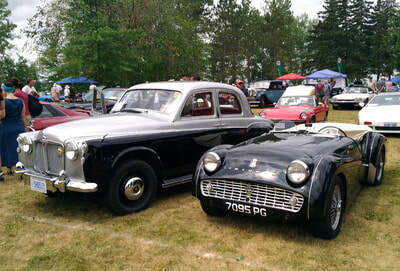 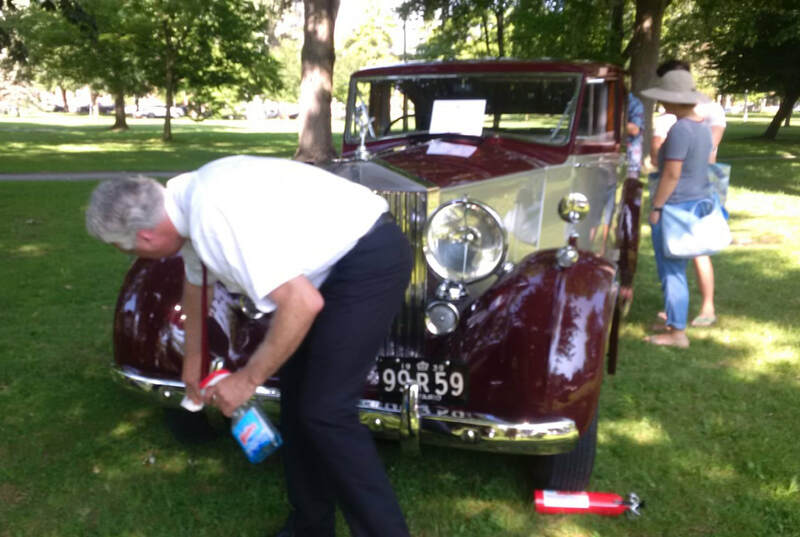 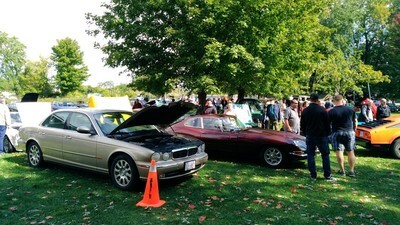 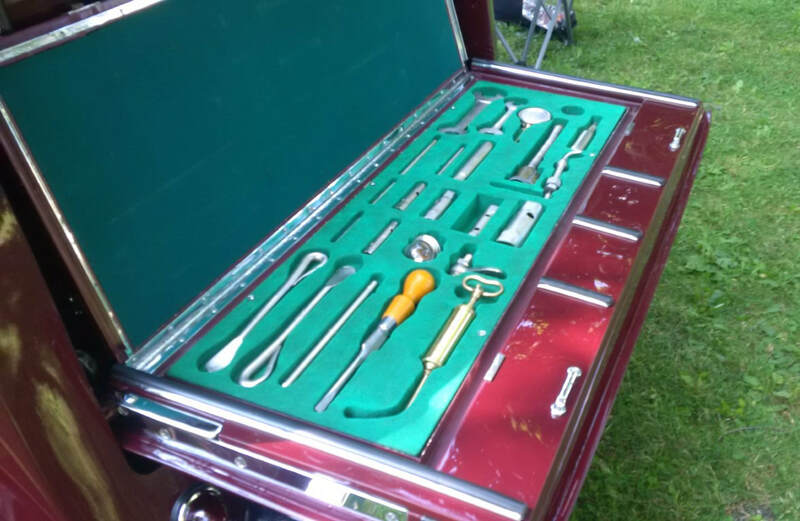 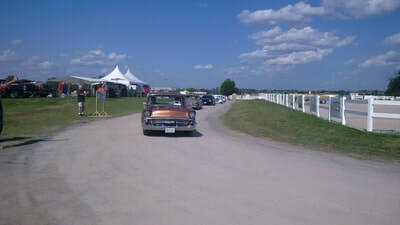 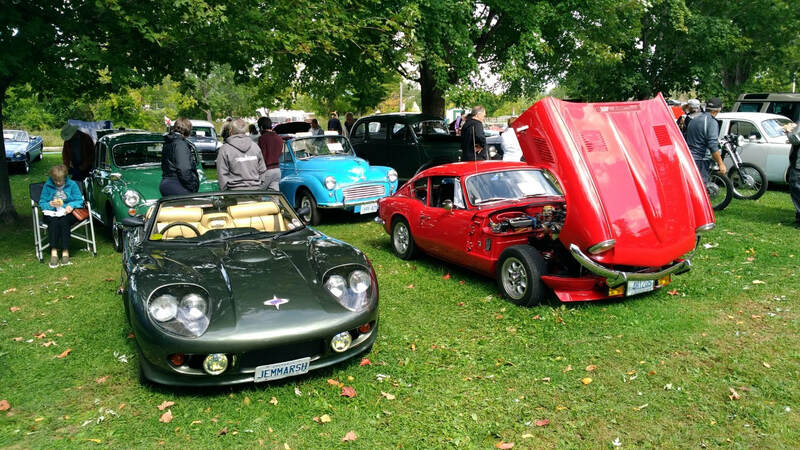 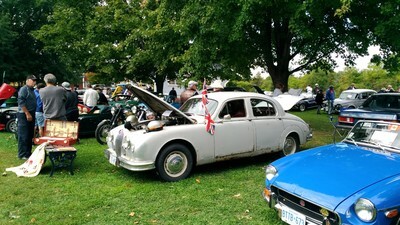 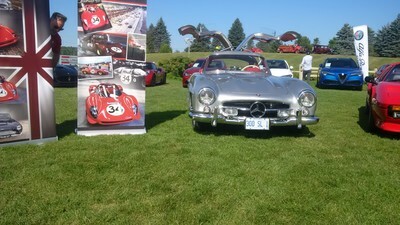 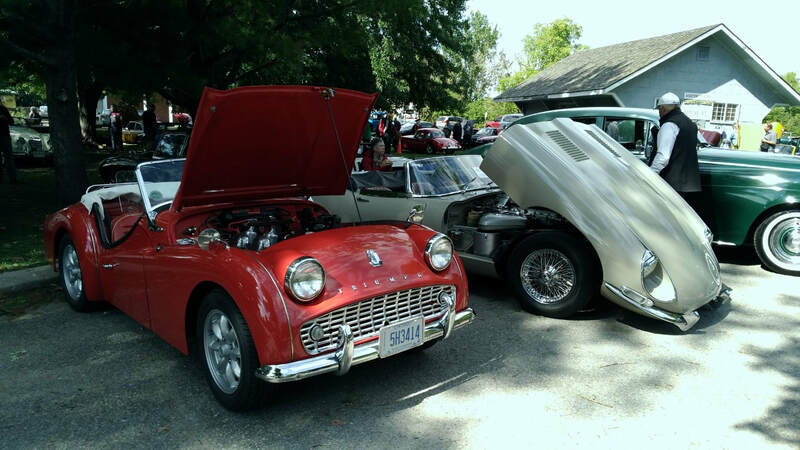 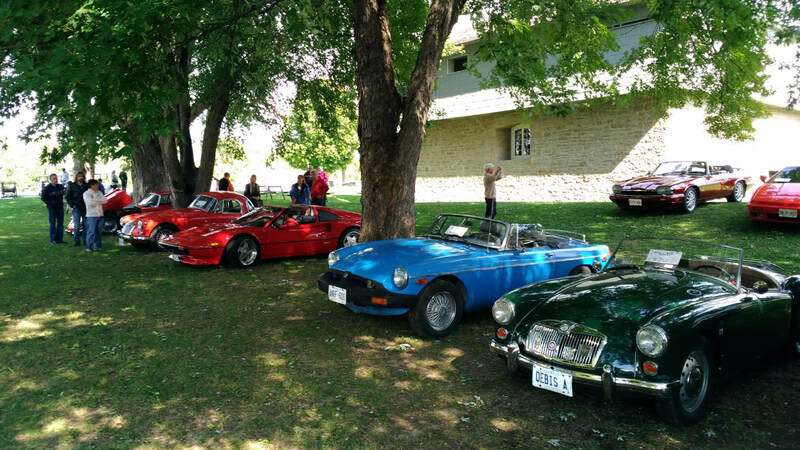 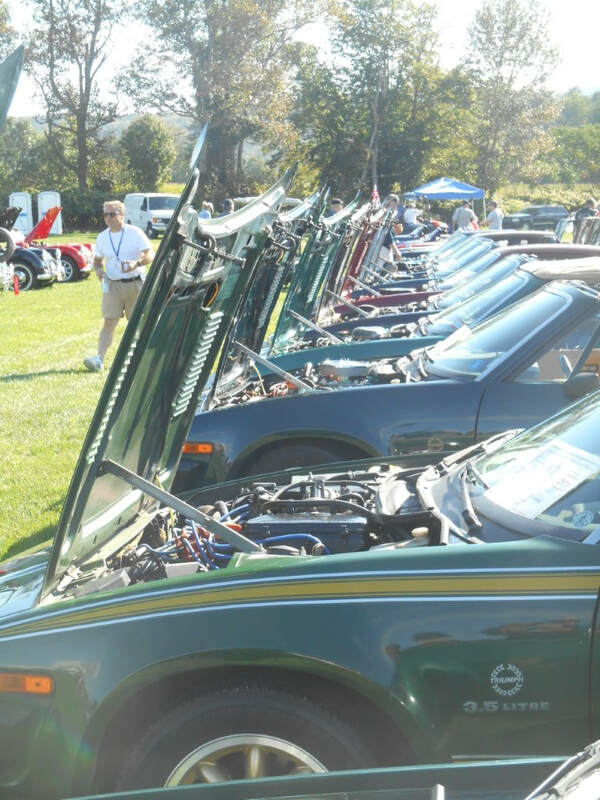 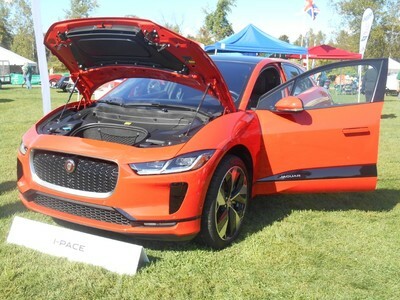 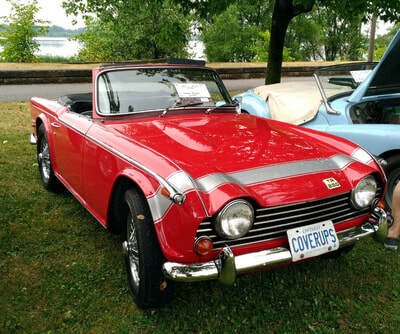 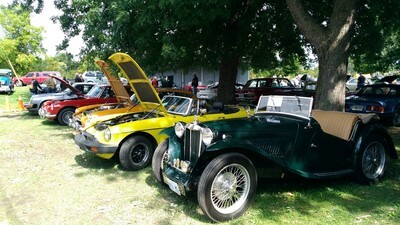 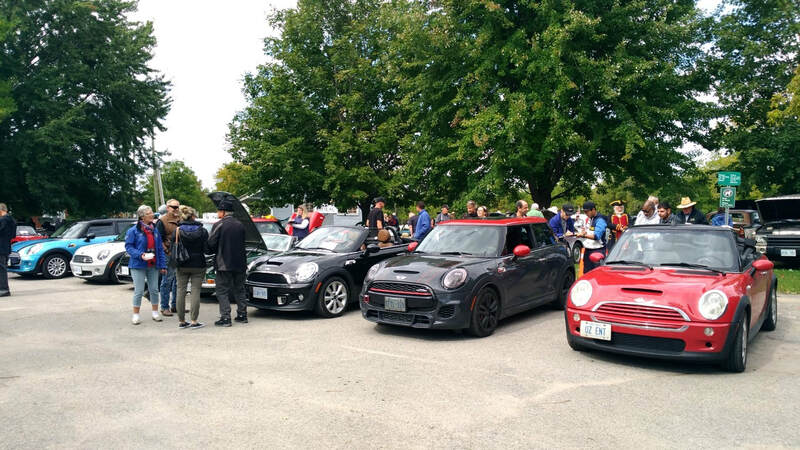 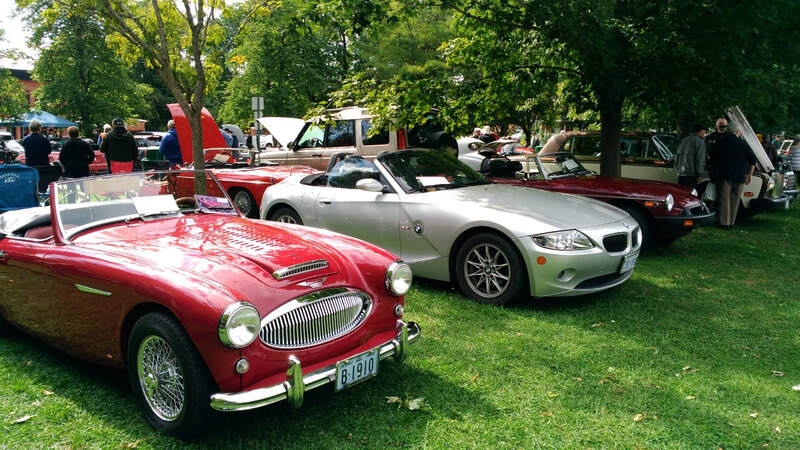 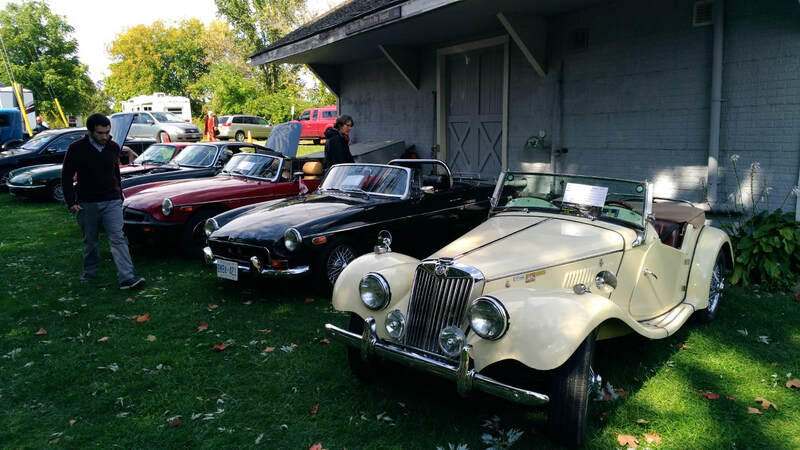 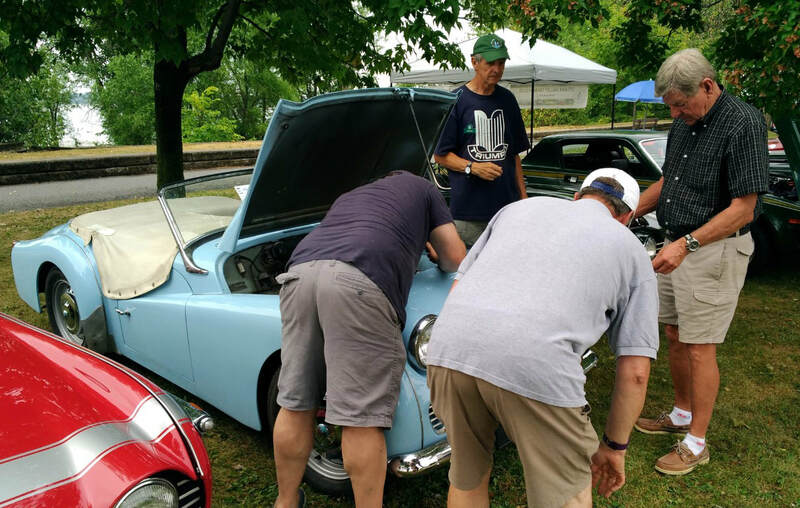 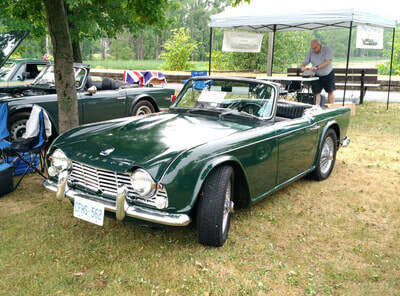 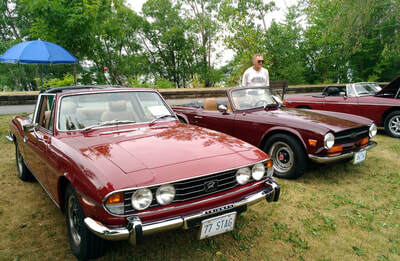 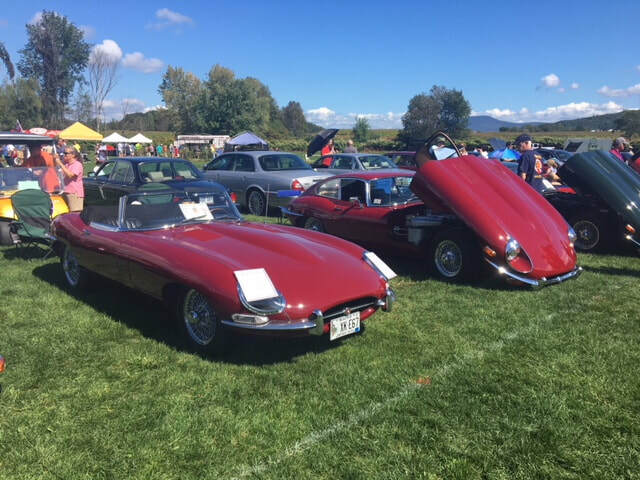 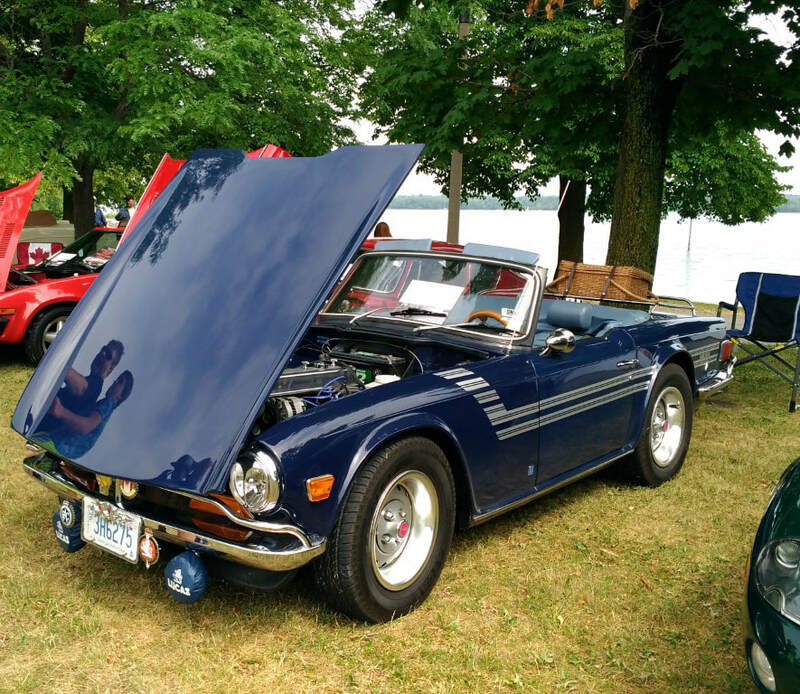 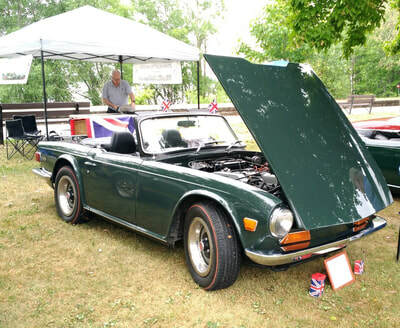 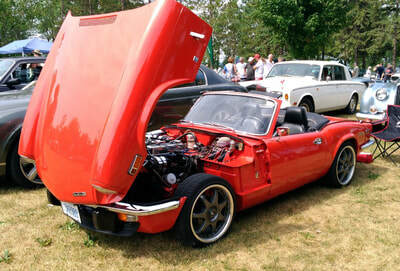 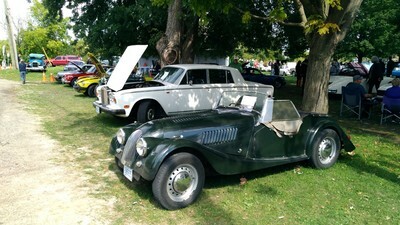 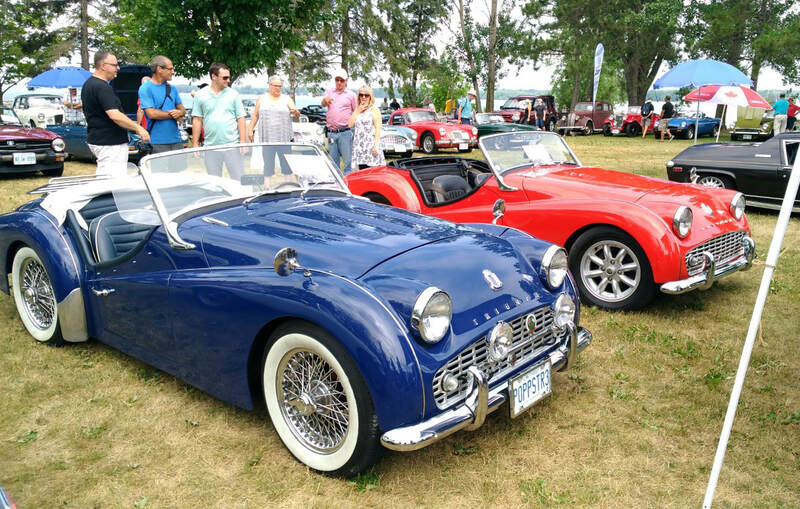 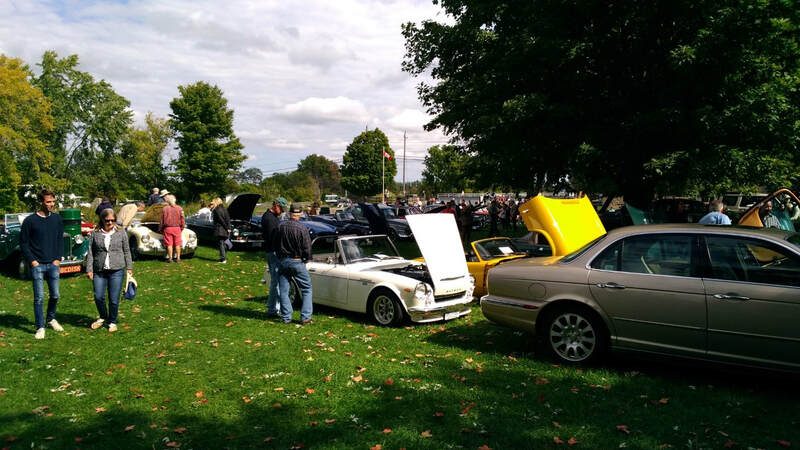 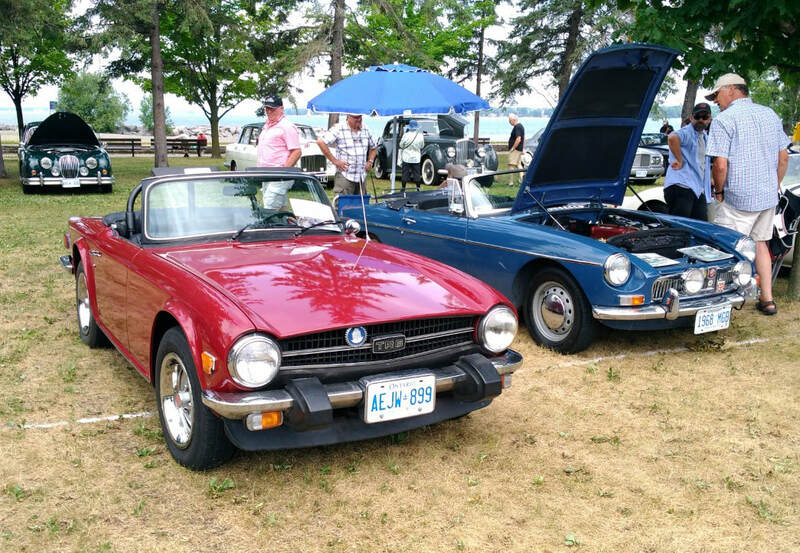 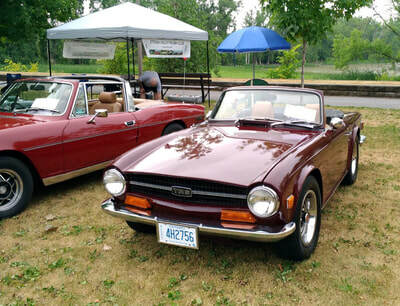 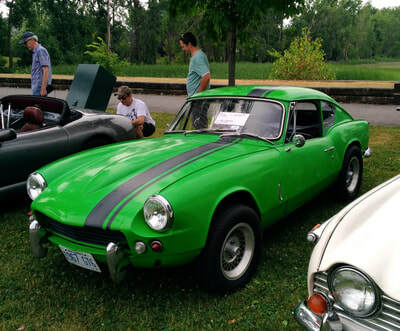 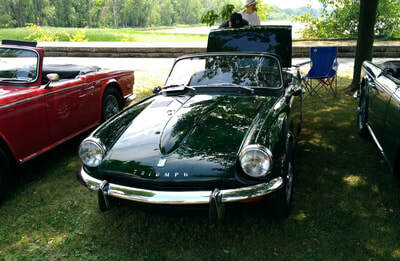 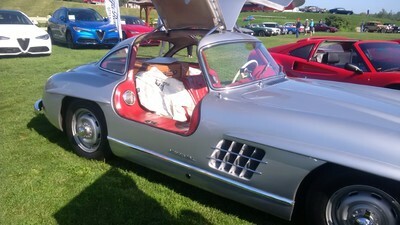 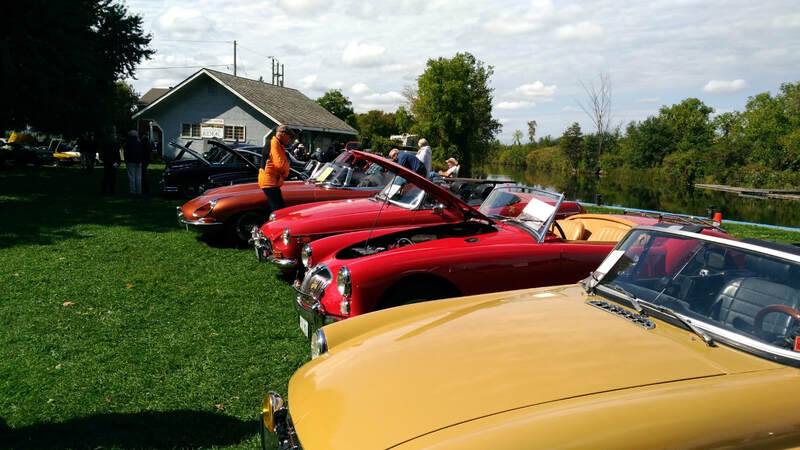 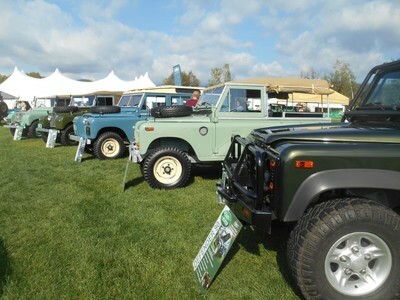 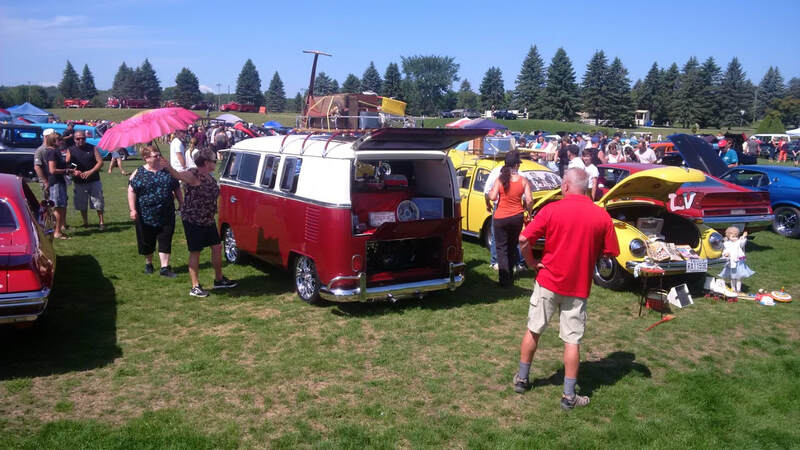 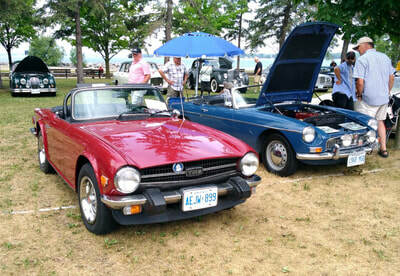 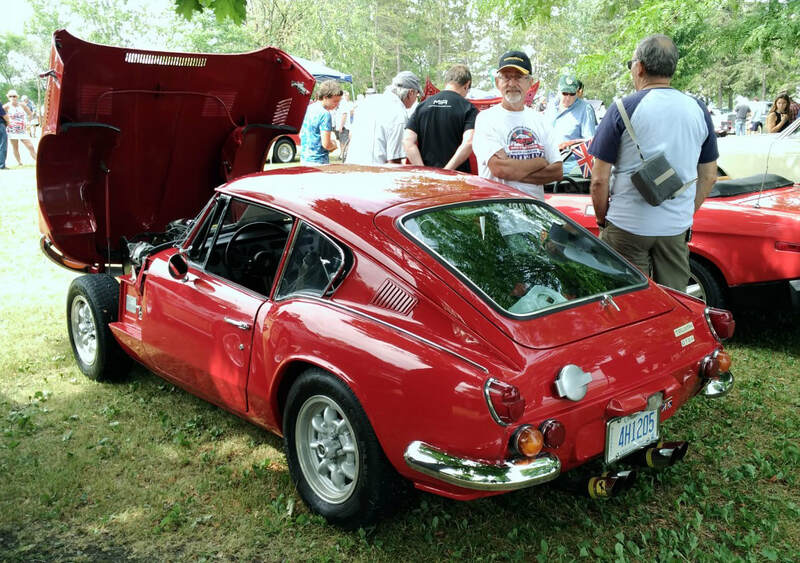 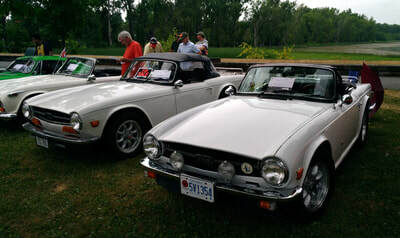 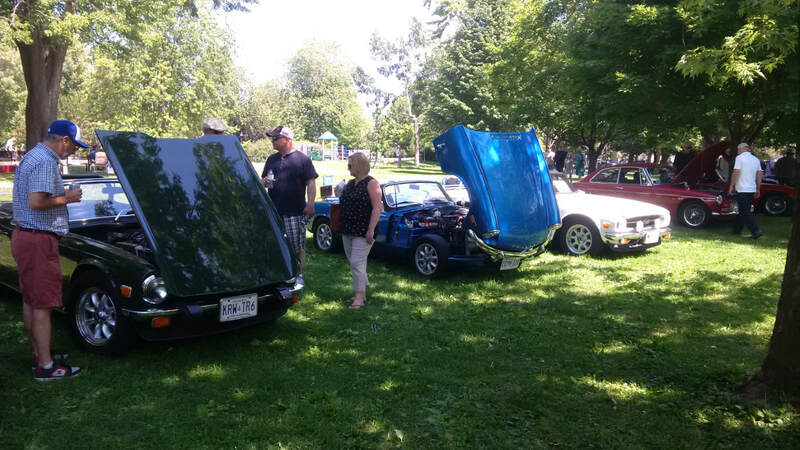 All British Car Day (ABCD) was held at Lakeside Gardens, Britannia Park, on the banks of the Ottawa River. 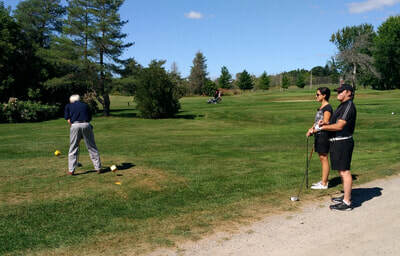 Great weather and fantastic day. 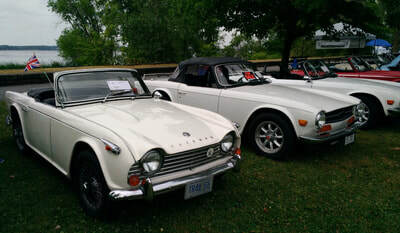 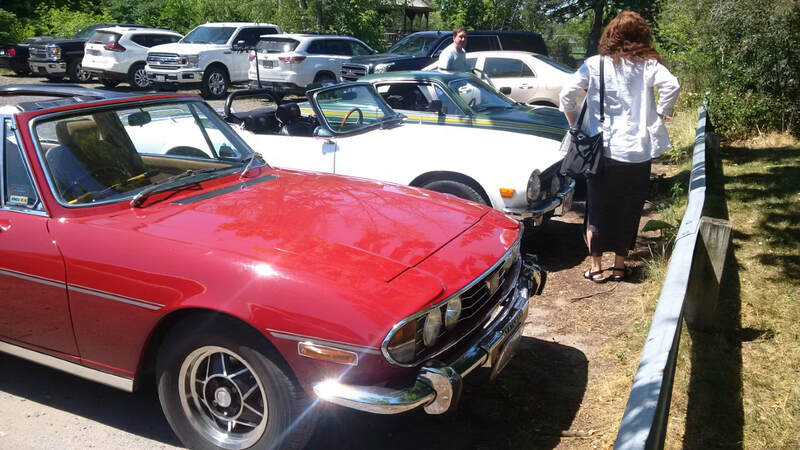 Lots of Triumphs on display. Thanks to all members who volunteered their time and displayed their cars. 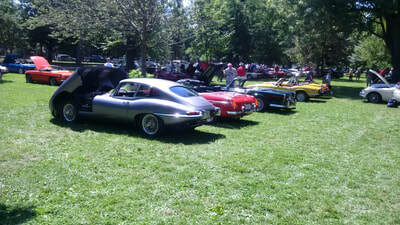 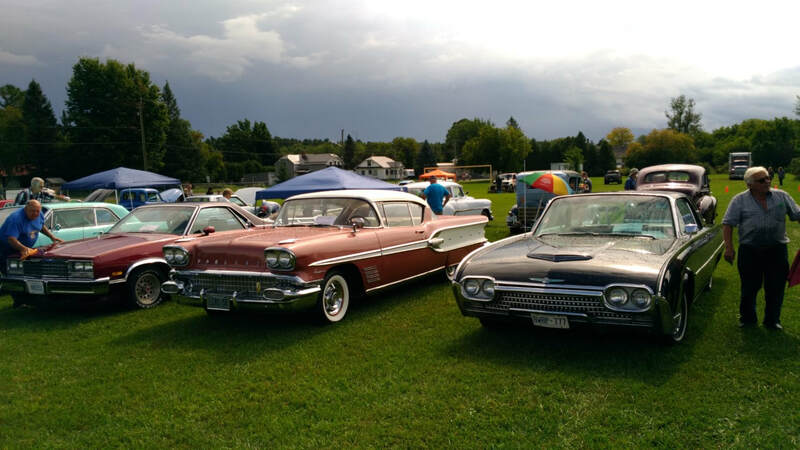 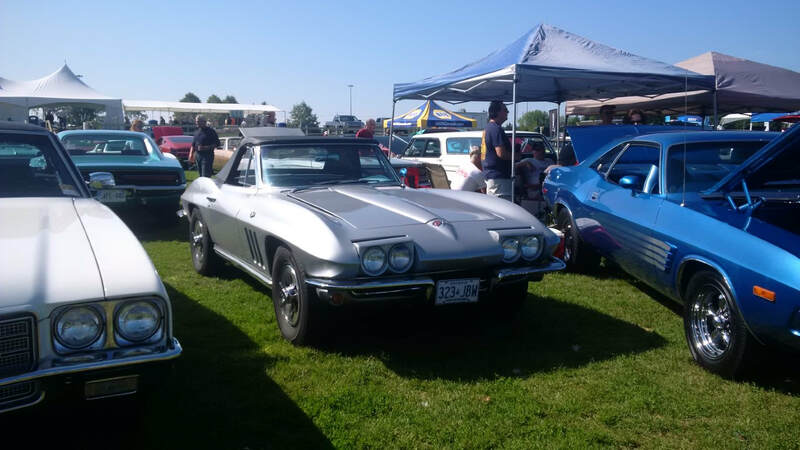 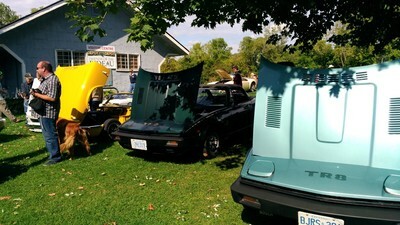 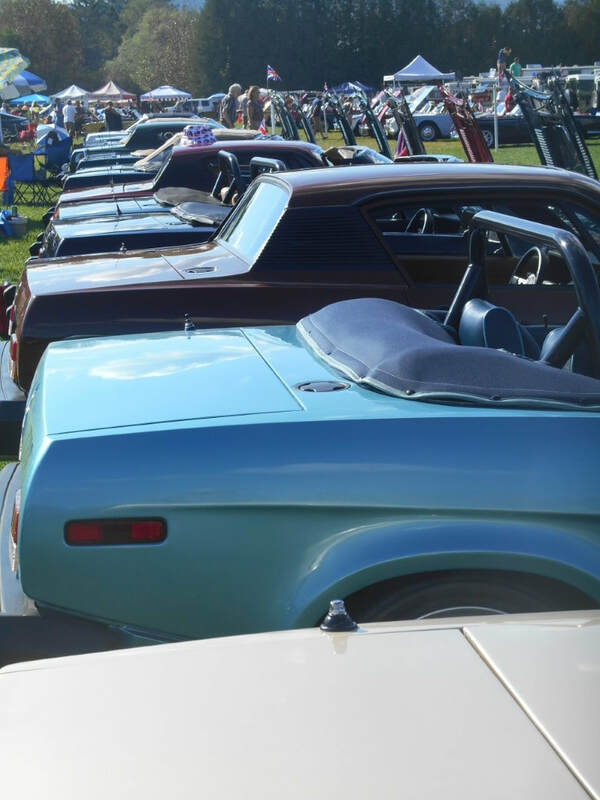 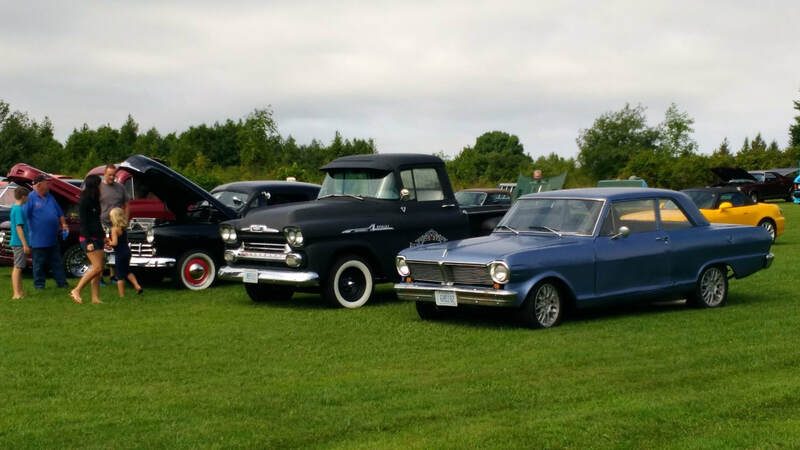 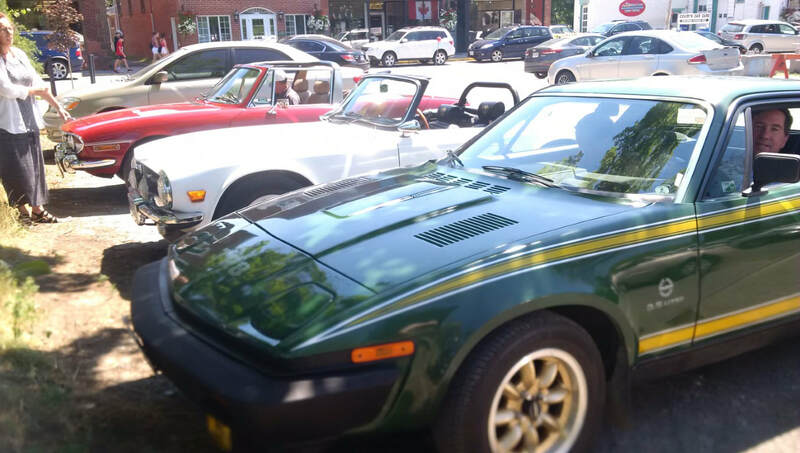 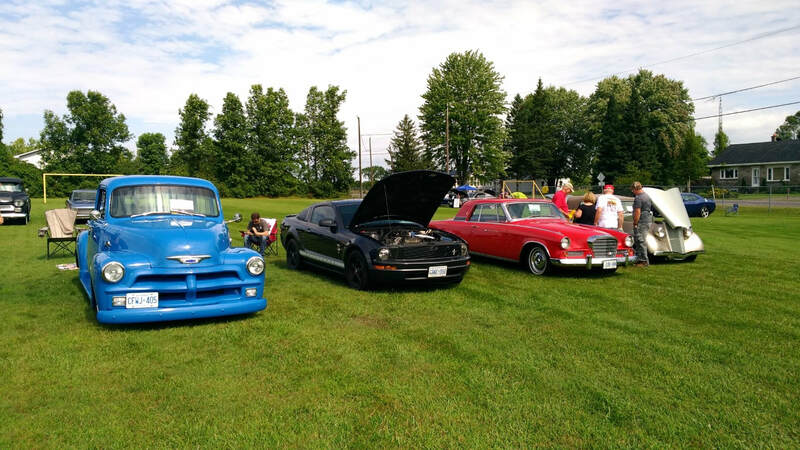 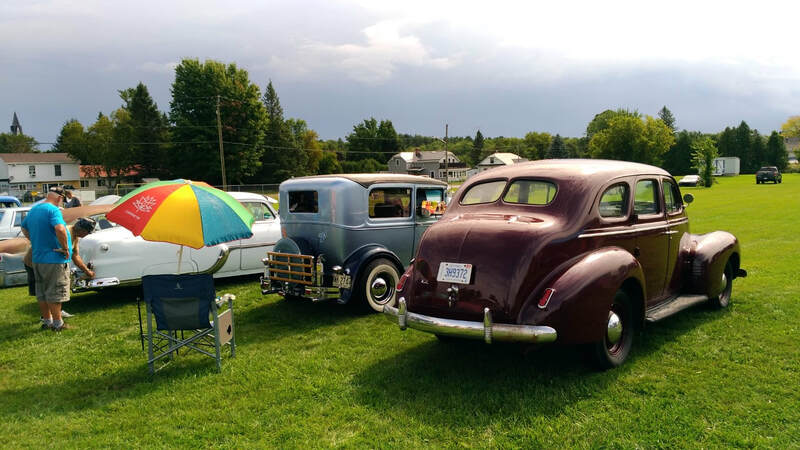 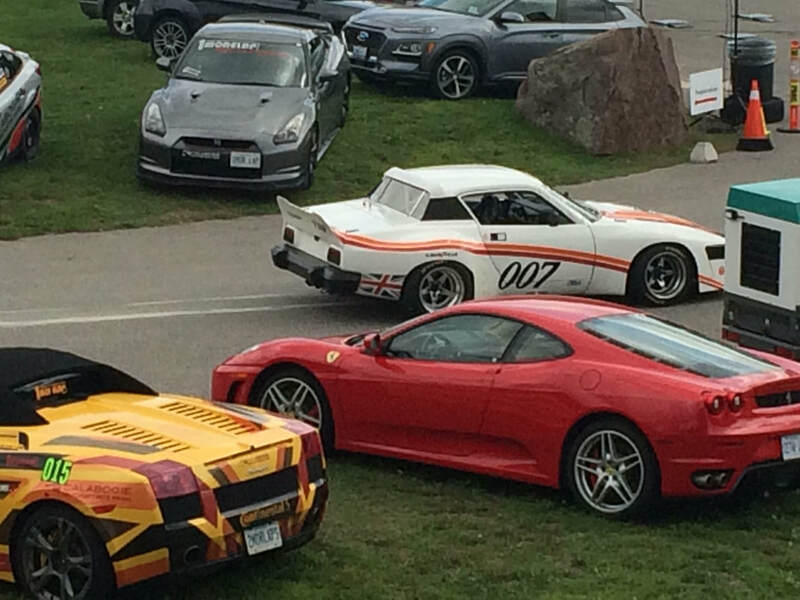 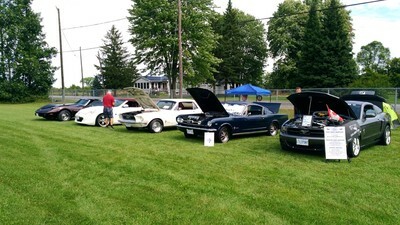 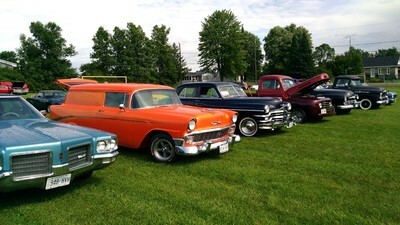 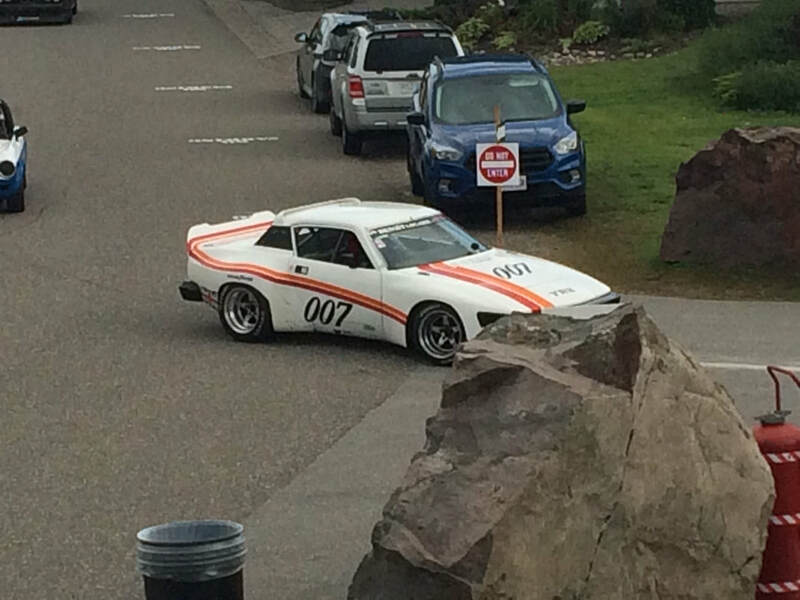 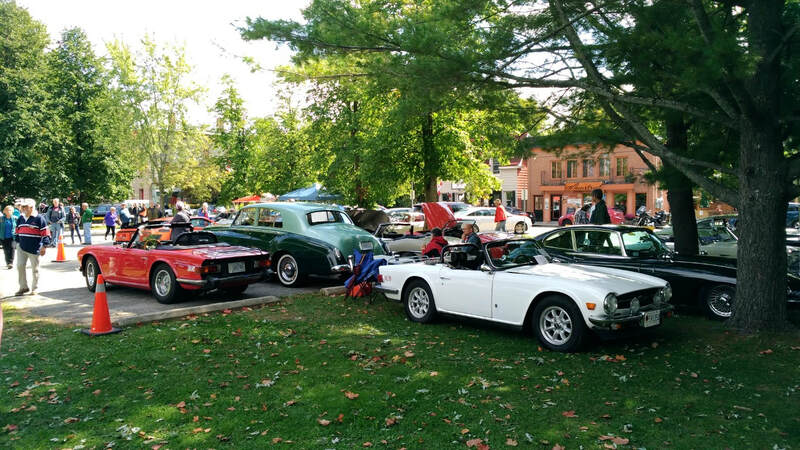 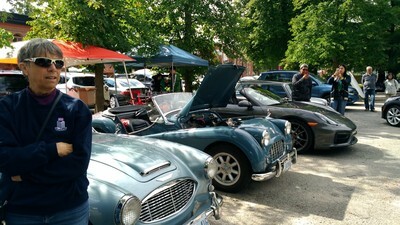 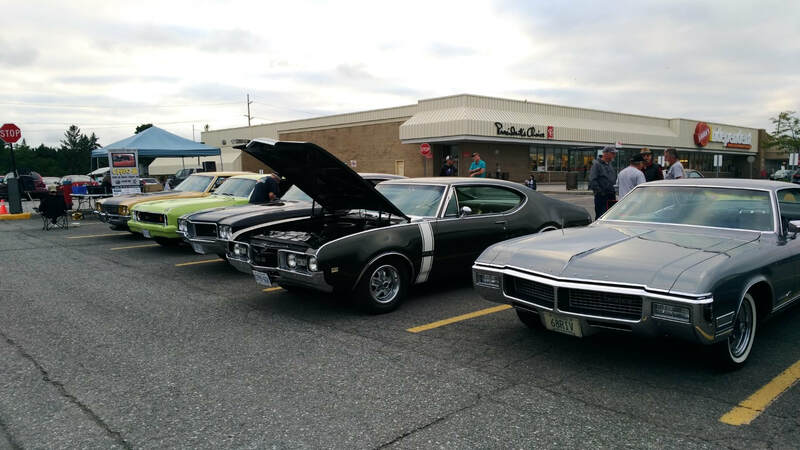 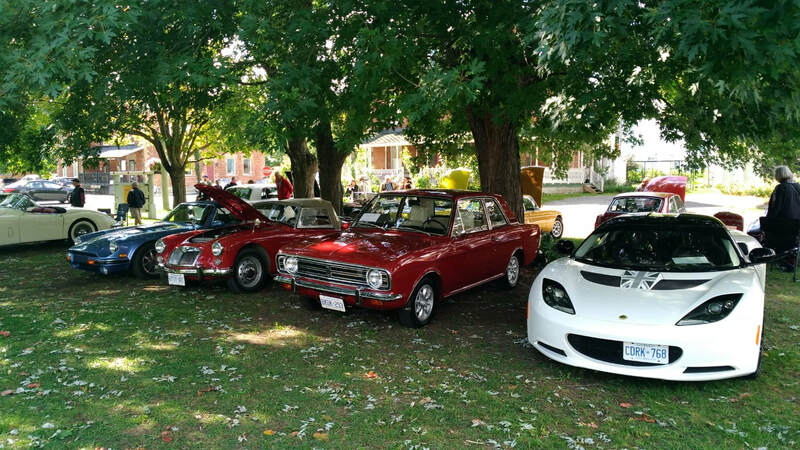 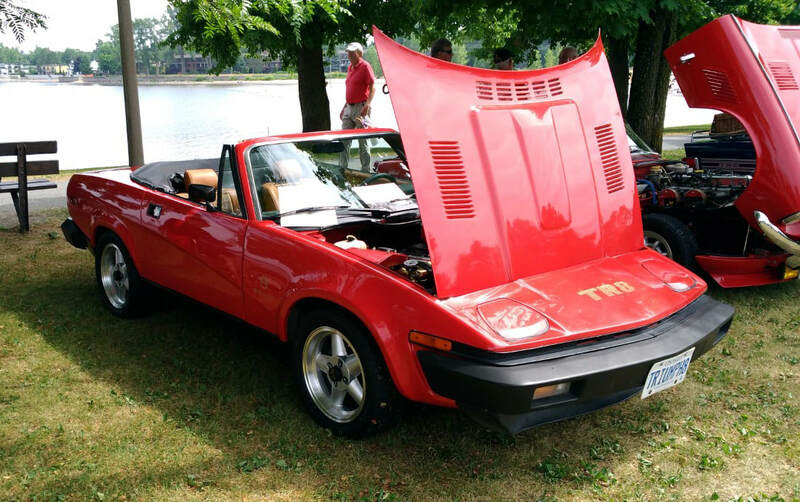 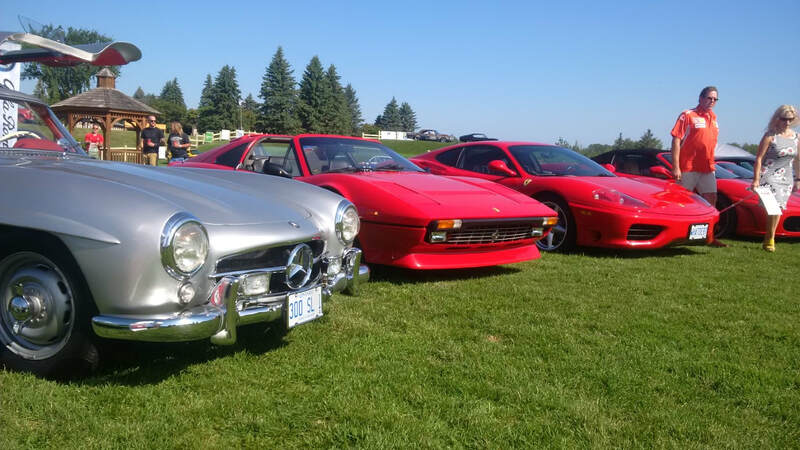 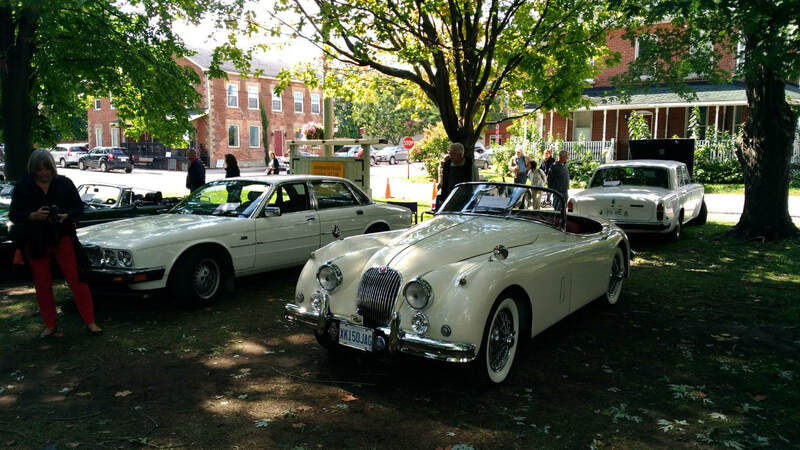 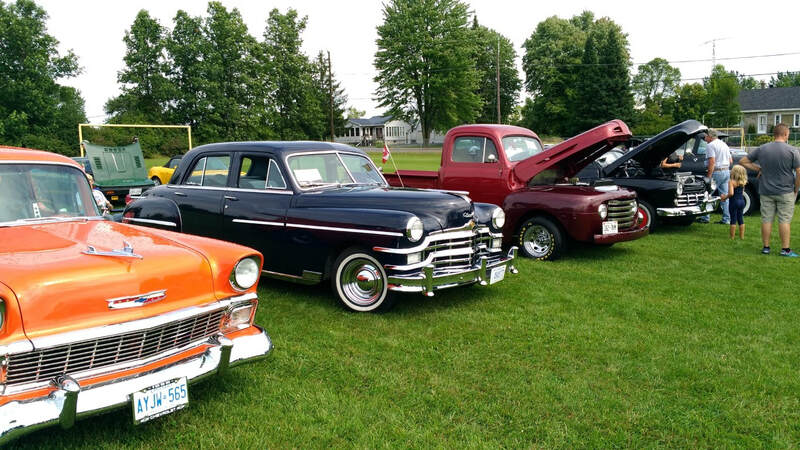 The first annual Canadian Capital Classic Car Show. 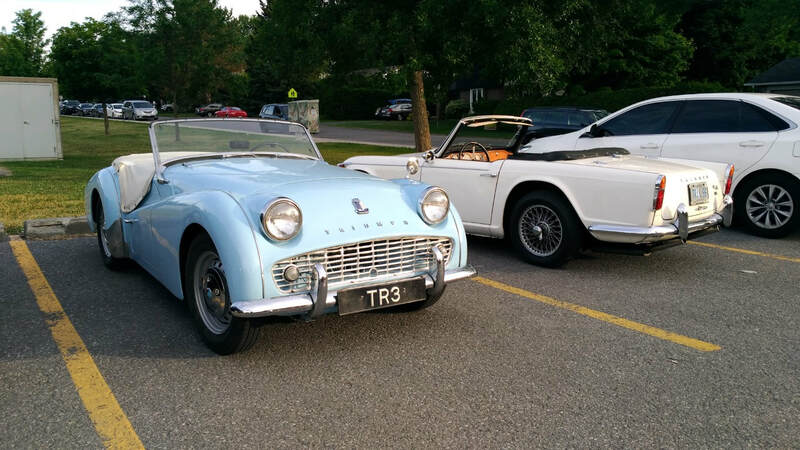 Thanks to Mike S. for submitting these photos. 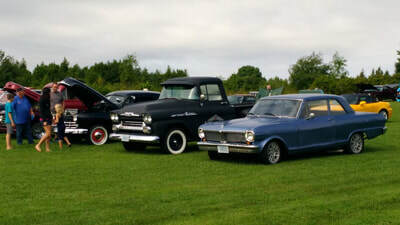 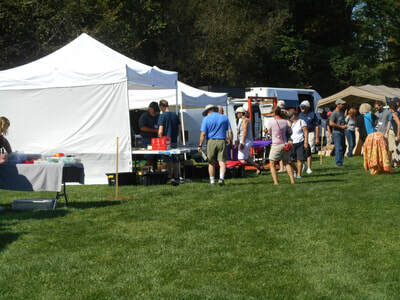 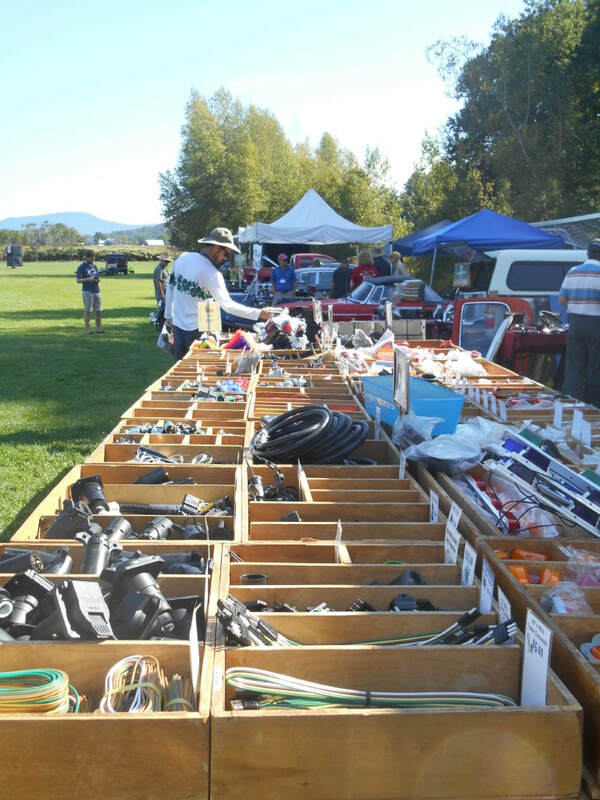 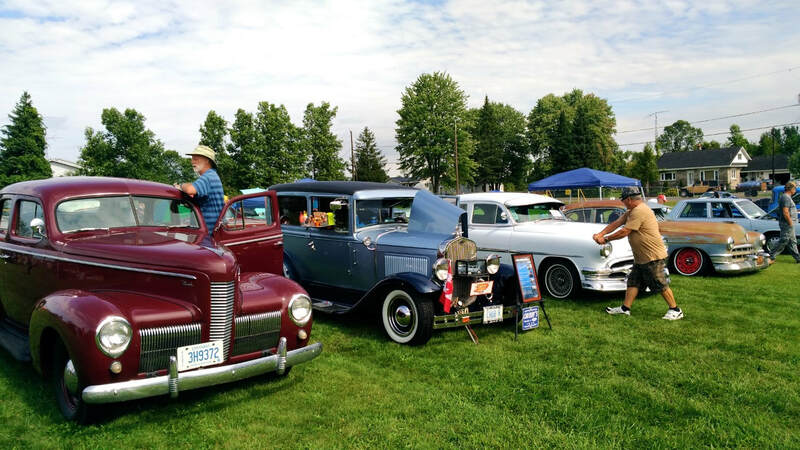 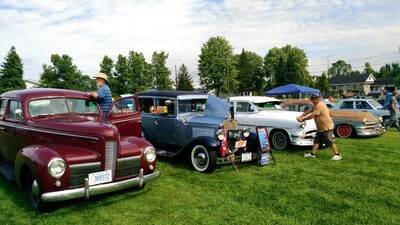 Boot 'n' Bonnet's annual event held in Kingston City Park. Thanks to Mike S. for sharing his pictures. 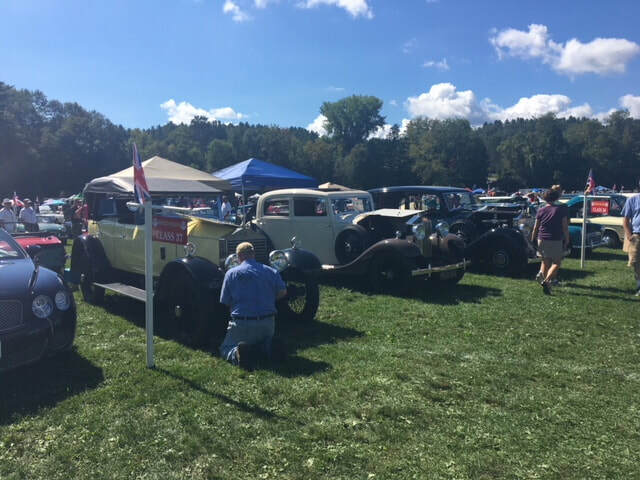 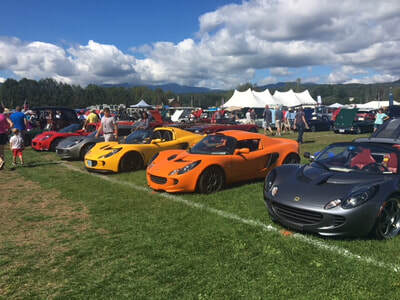 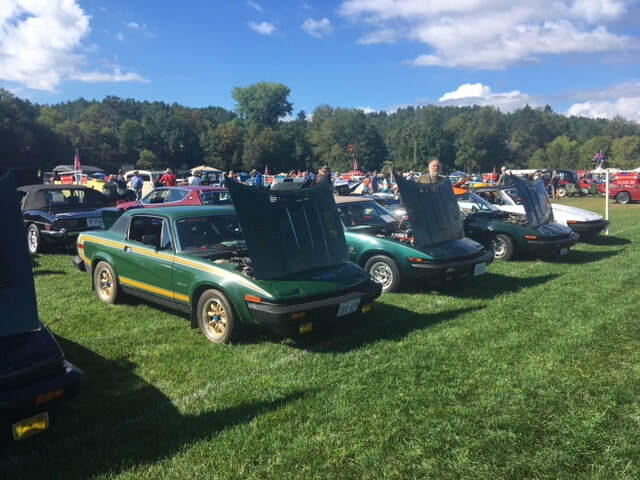 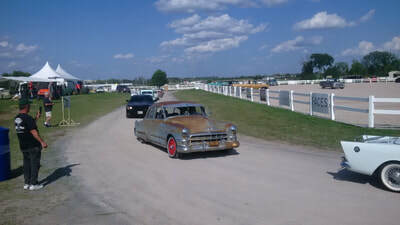 Several OVTC members participated in the car show in the lower paddock, and enjoyed some parade laps during the lunch break for participants in the vintage racing. 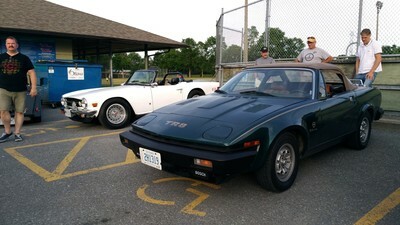 Thanks to David H. and Mike S. for submitting these photos. Bit of a wet start, but turned out to be a nice day late in morning and for the afternoon. 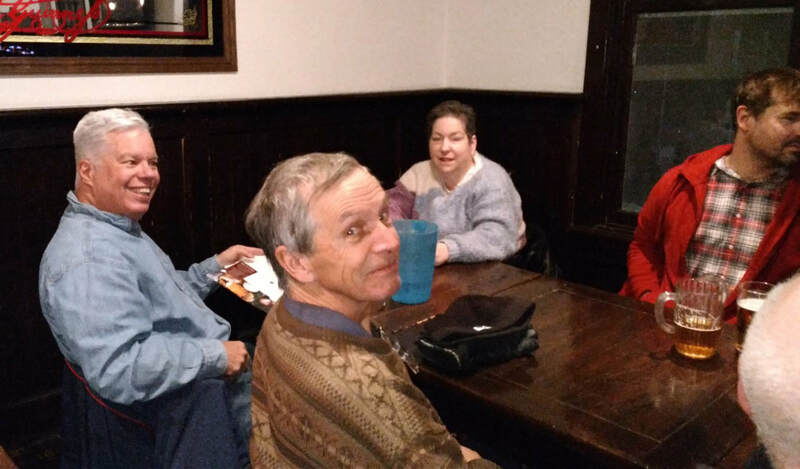 David H., Bob T., and Mike and Marjorie G. (although not in a TR) represented the club. 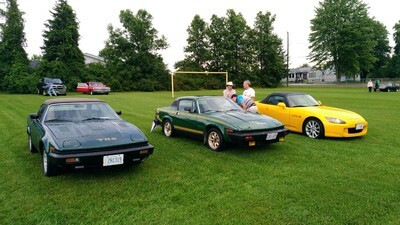 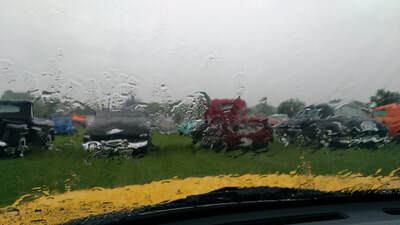 Good selection of cars considering the heavy rain in the morning. 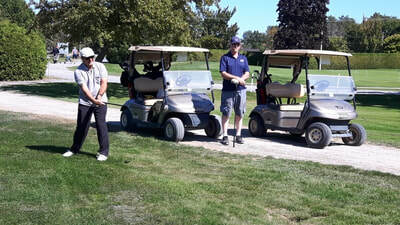 A great day for golf, and for the first time we had the pleasure of hosting member of the MG and Jaguar Clubs at our little tournament. 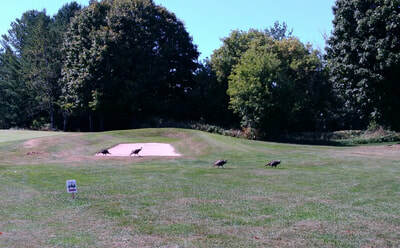 Given the responses we received, we can likely expect more golfers next year. 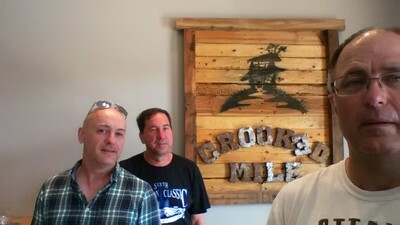 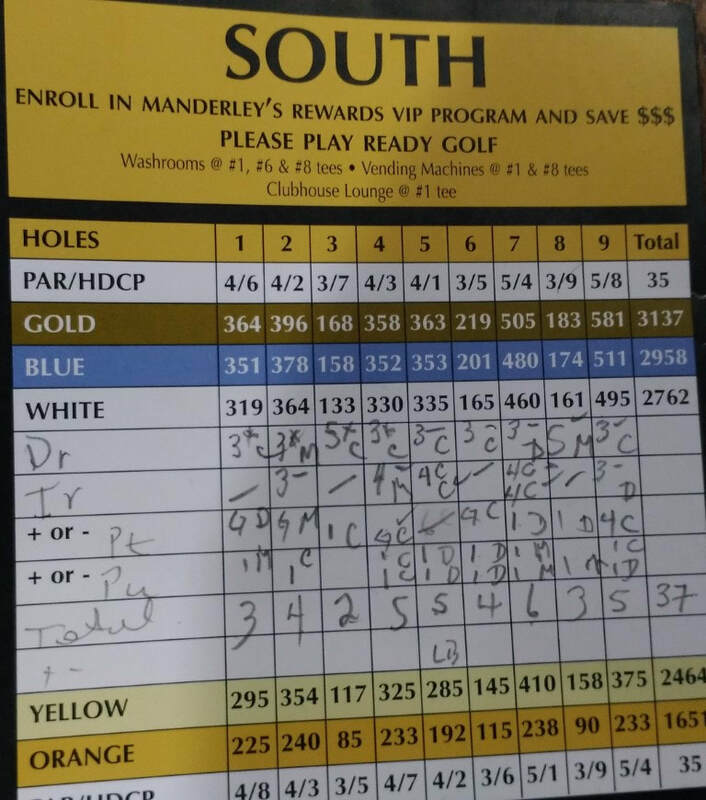 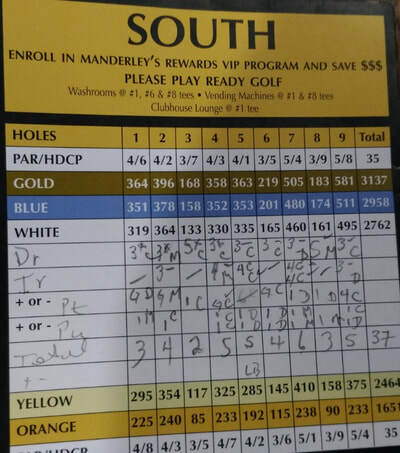 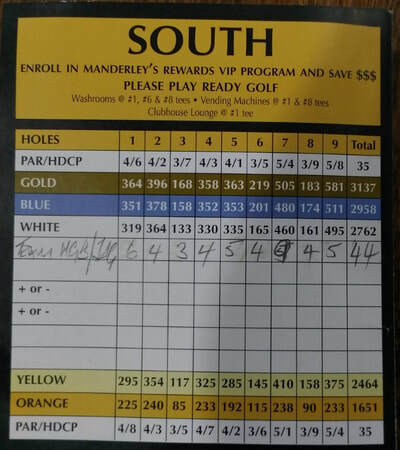 Congratulations to Team TR (Chuck, David B., and Mike S.) on their win. 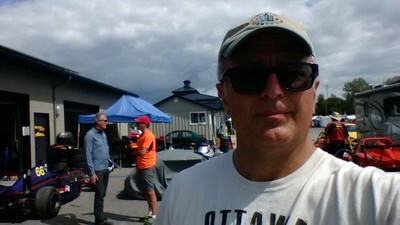 Thanks to David as well for organizing the event once again this year. Despite rather cloudy skies, a good turn out of British cars. 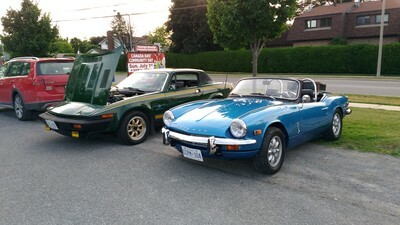 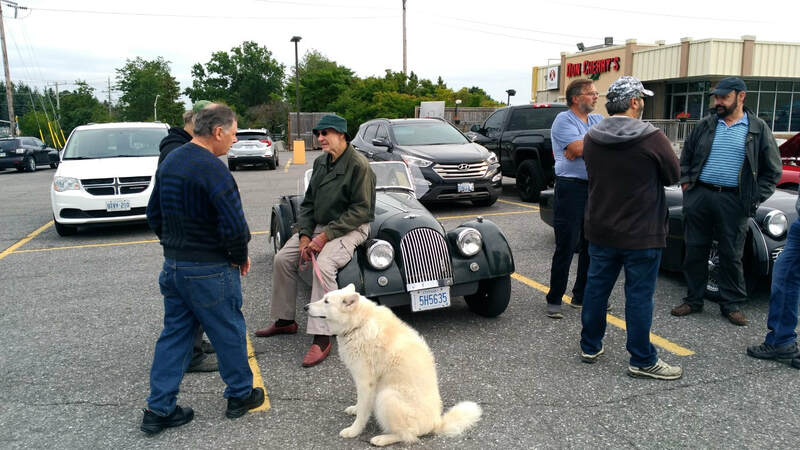 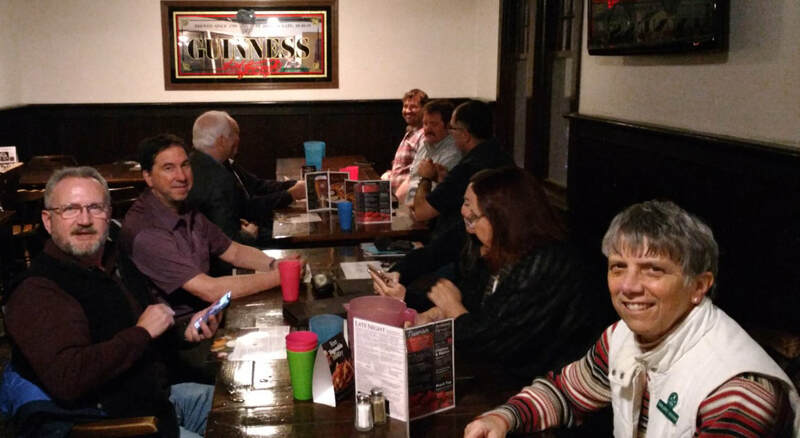 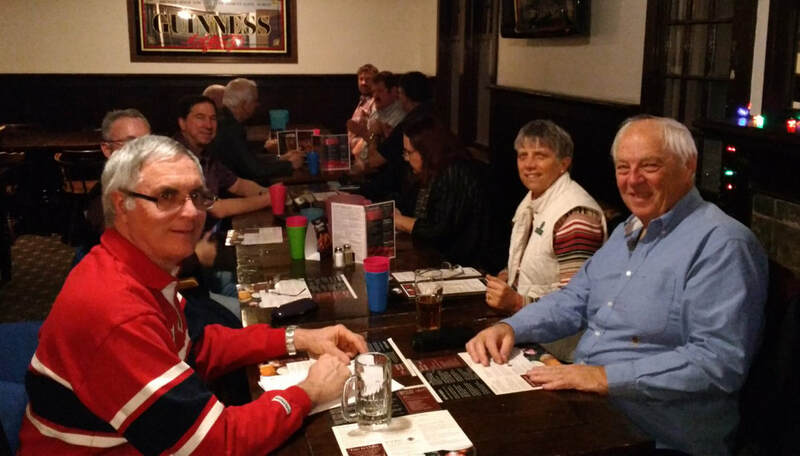 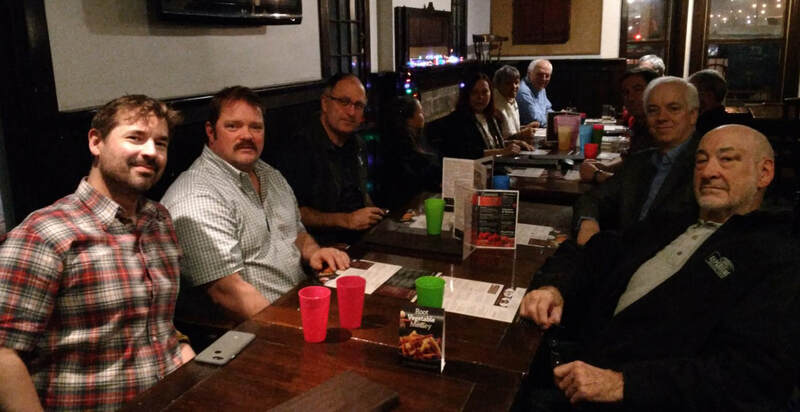 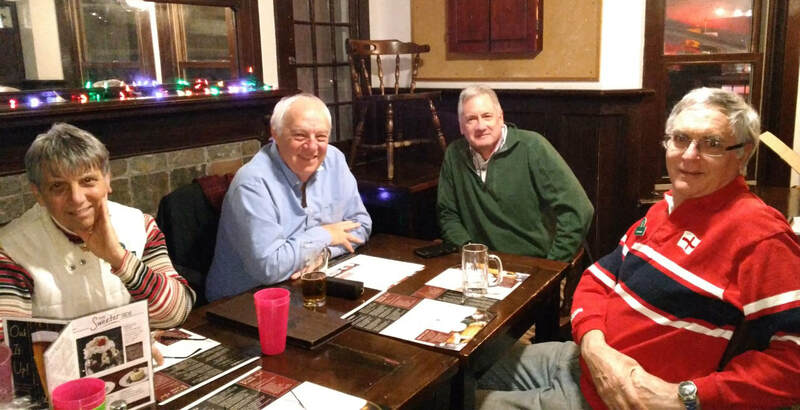 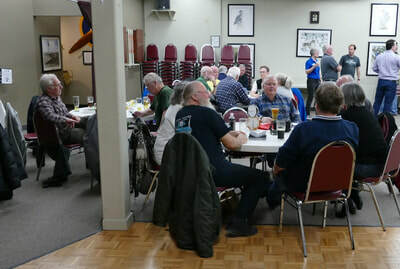 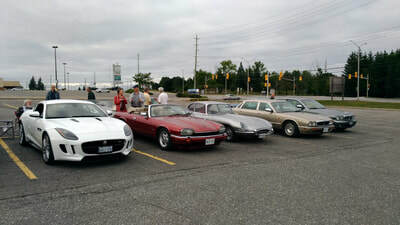 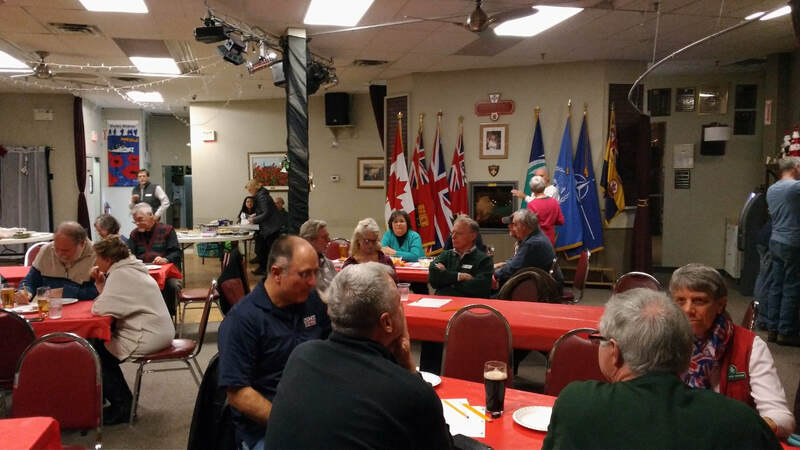 Thanks to Alan G. of the Ottawa Jaguar Club for organizing the invasion and the following supper at the Glen Restaurant. 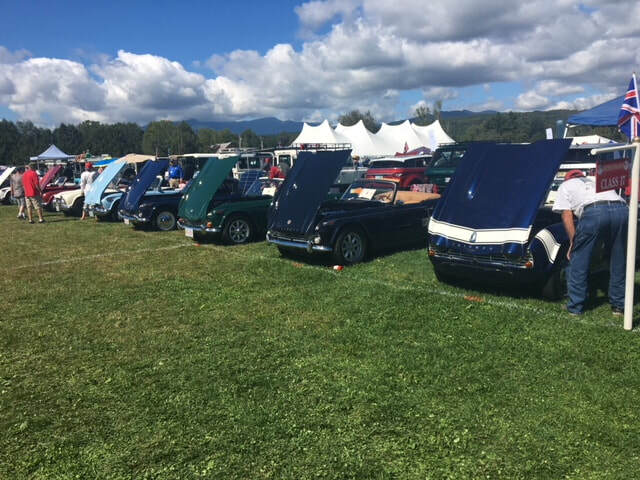 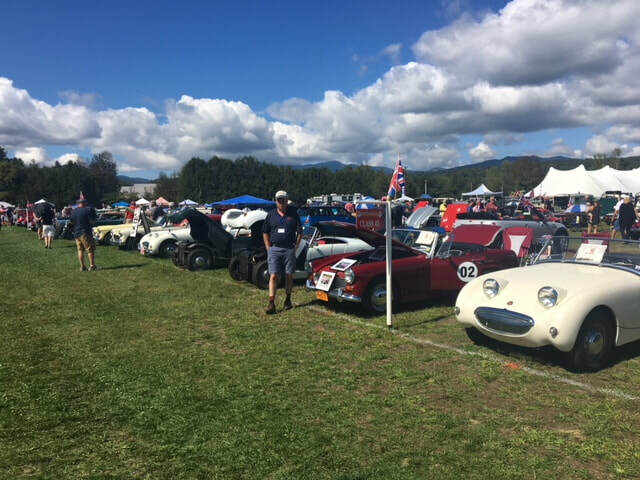 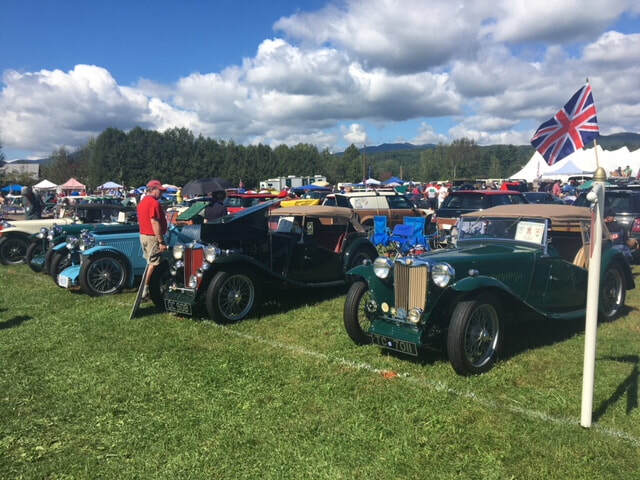 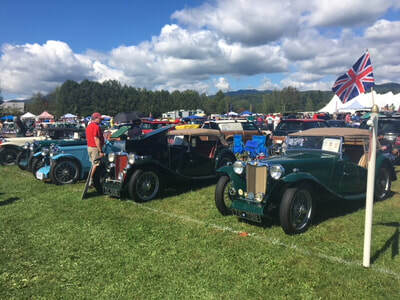 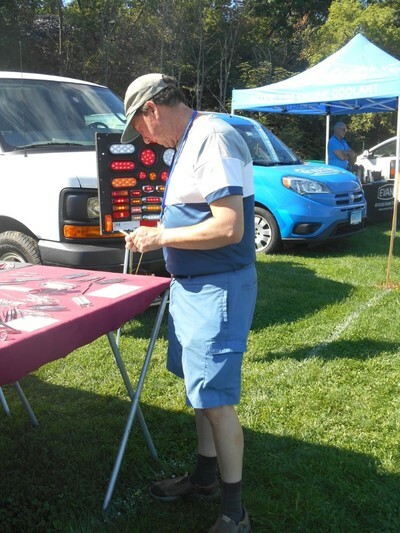 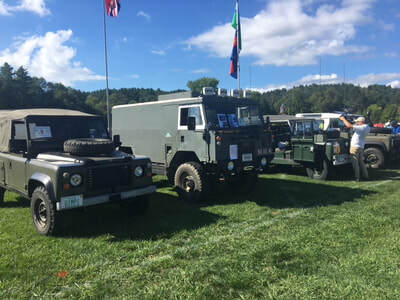 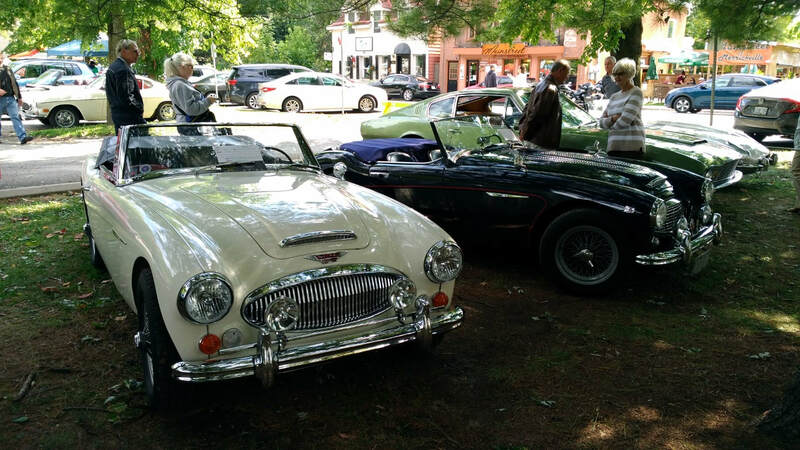 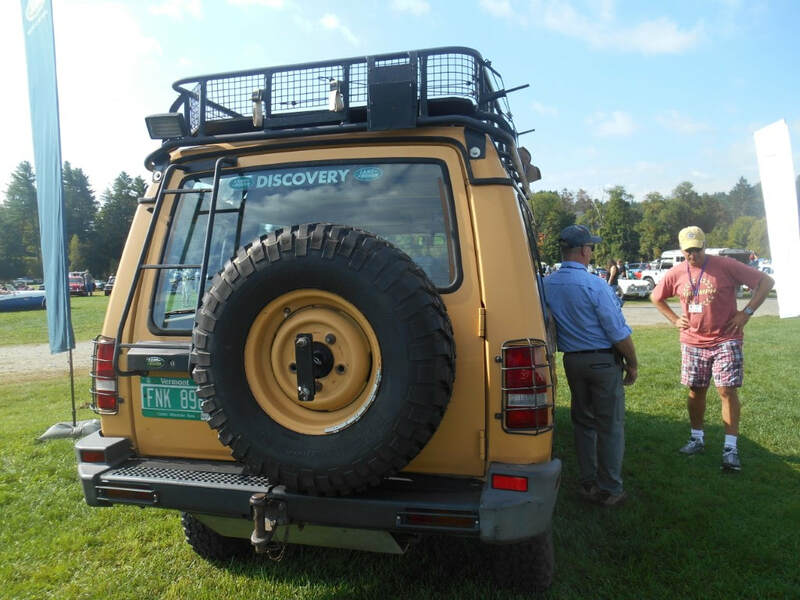 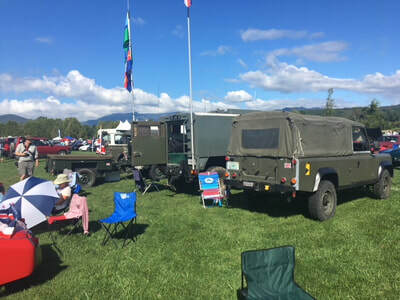 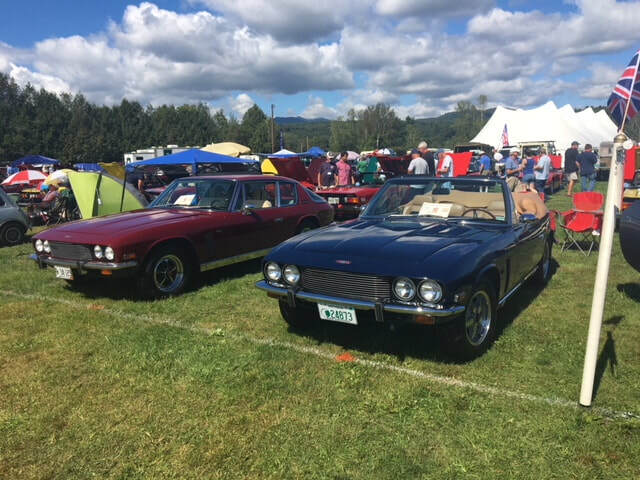 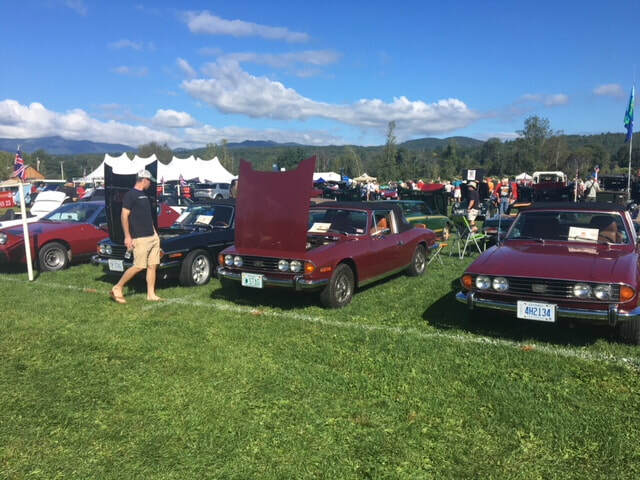 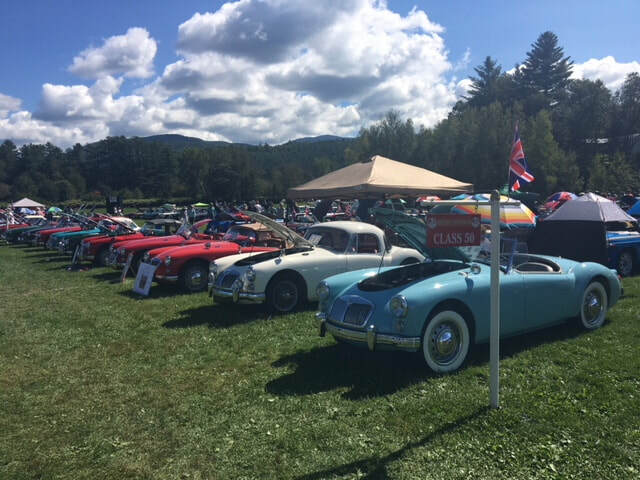 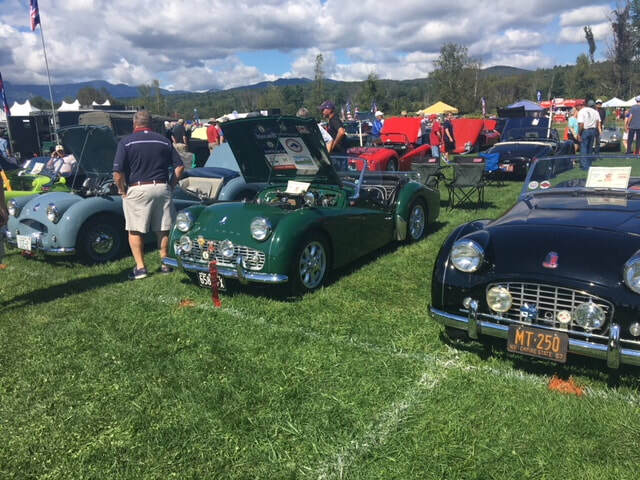 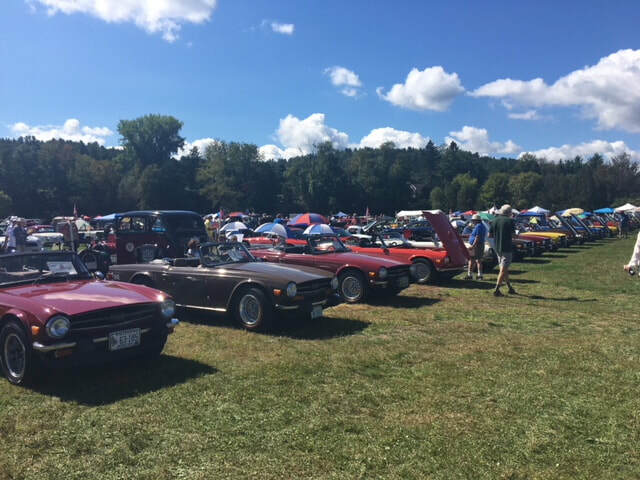 Bob and Fran and David and Linda attended the British Invasion in Stowe once again this year. 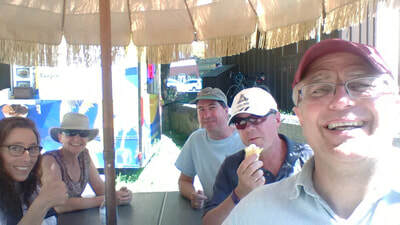 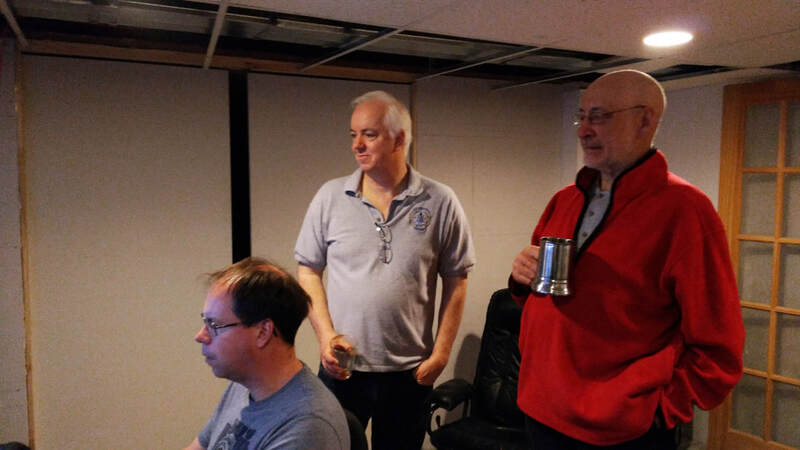 Bob and David kindly submitted these pictures for the website. 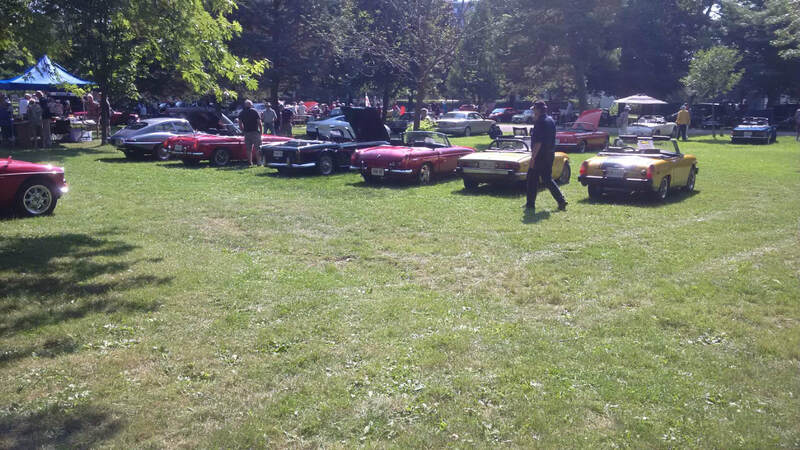 Great turn out of European cars for the inaugural edition of this show. 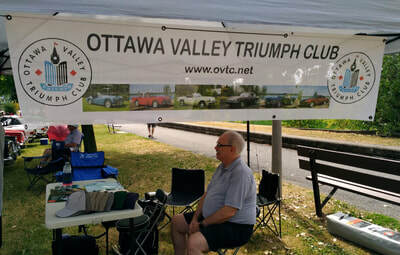 Good number of OVTC members displayed their cars. Look forward to making this a regular event on our calendar. 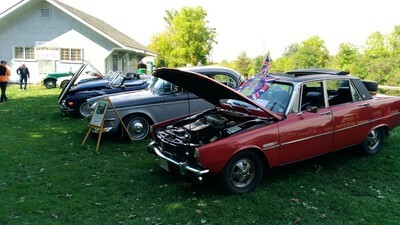 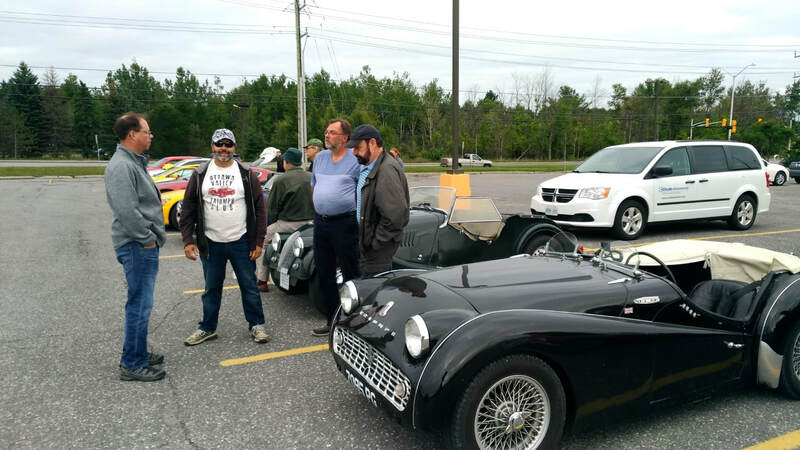 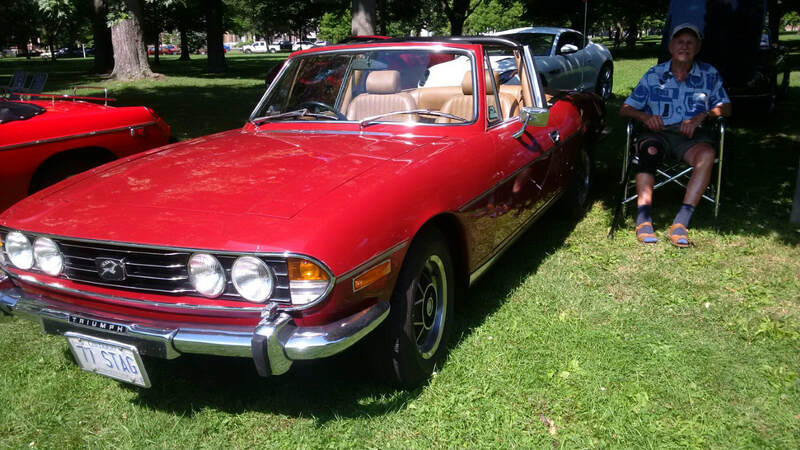 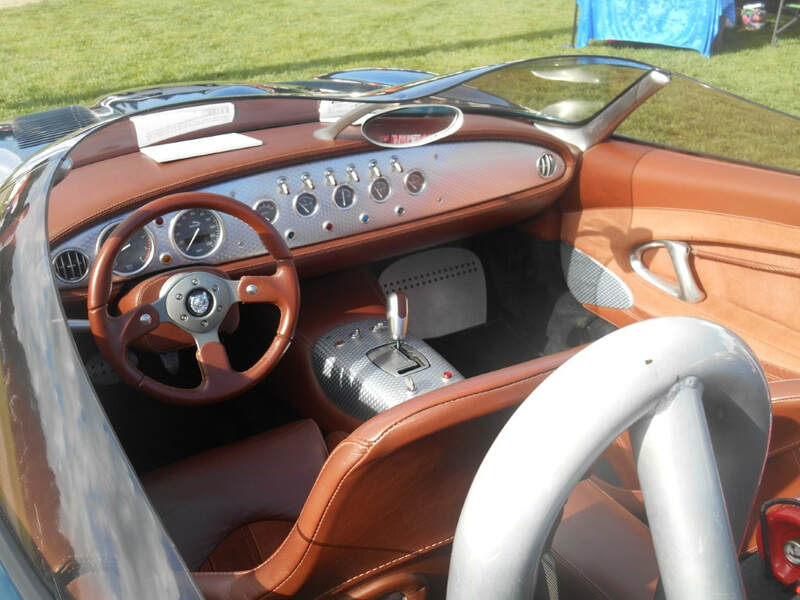 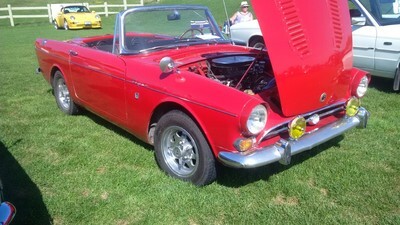 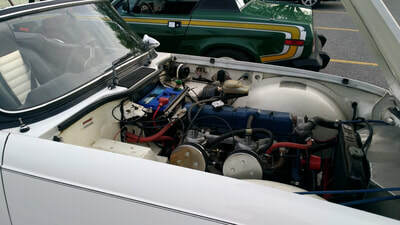 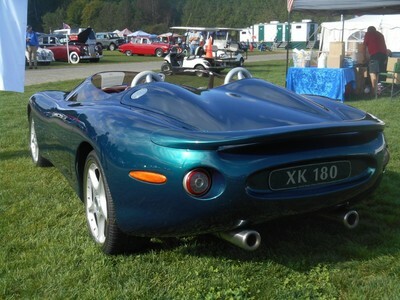 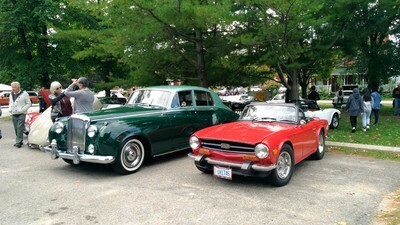 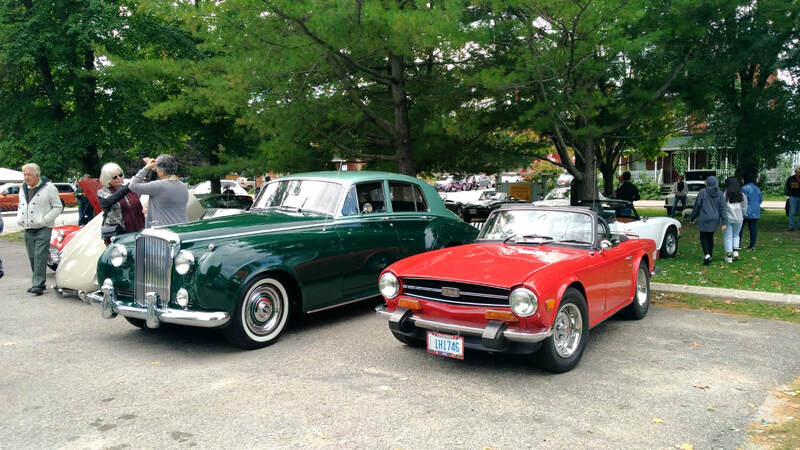 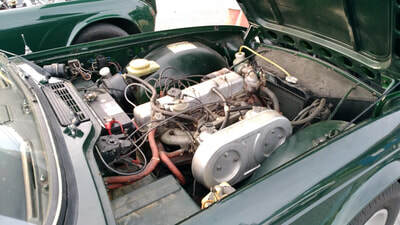 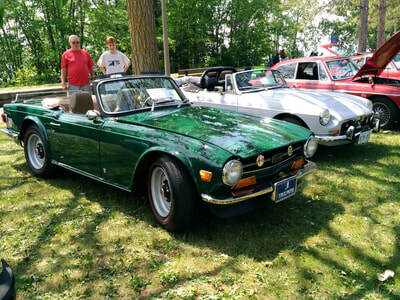 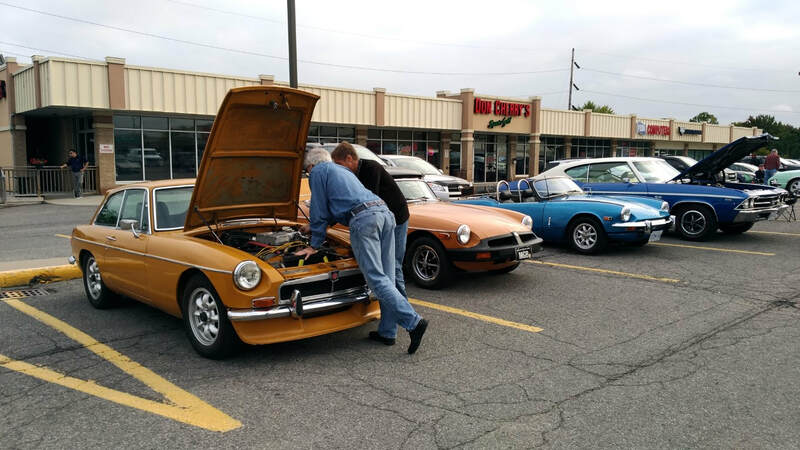 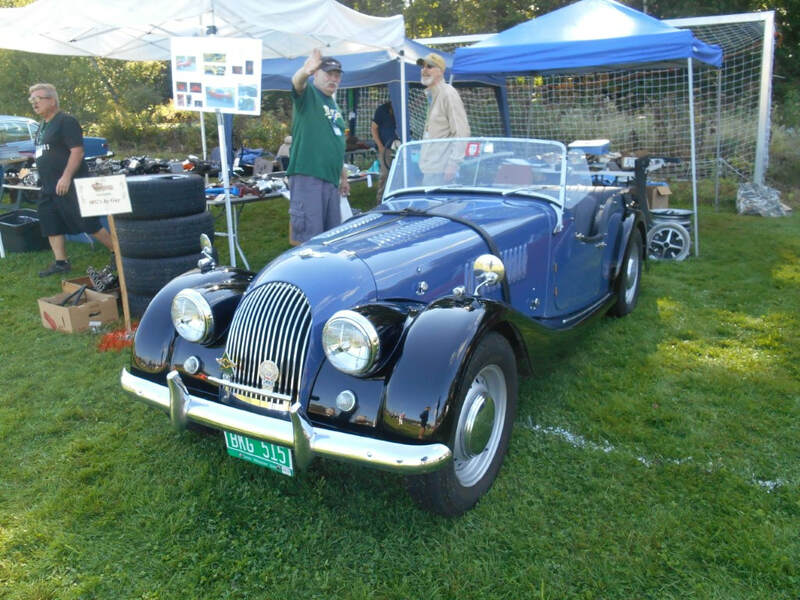 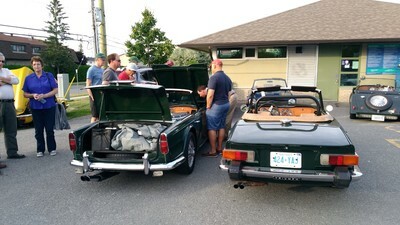 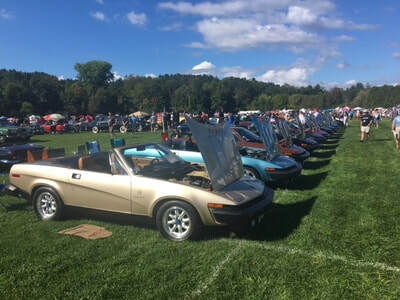 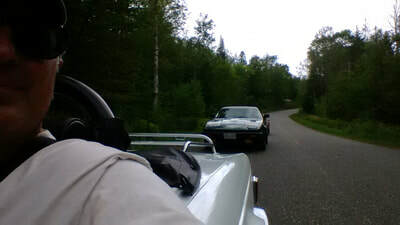 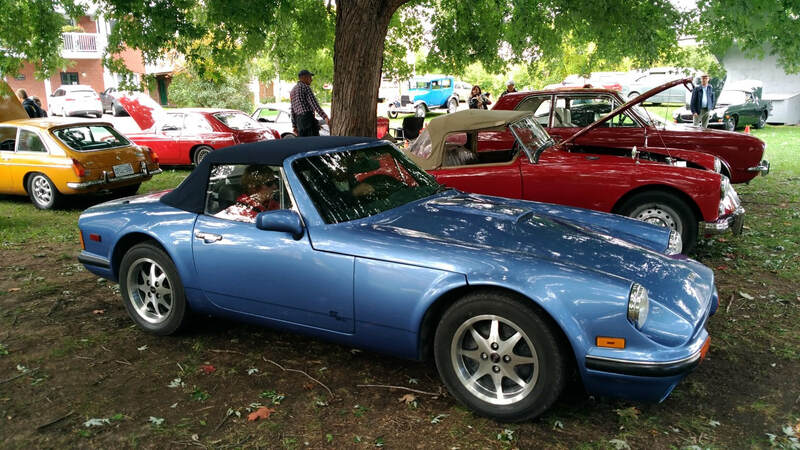 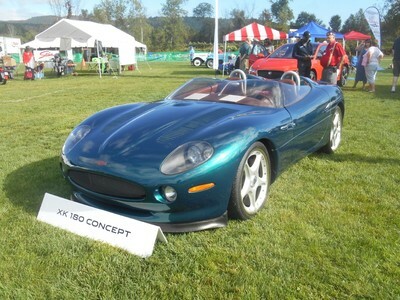 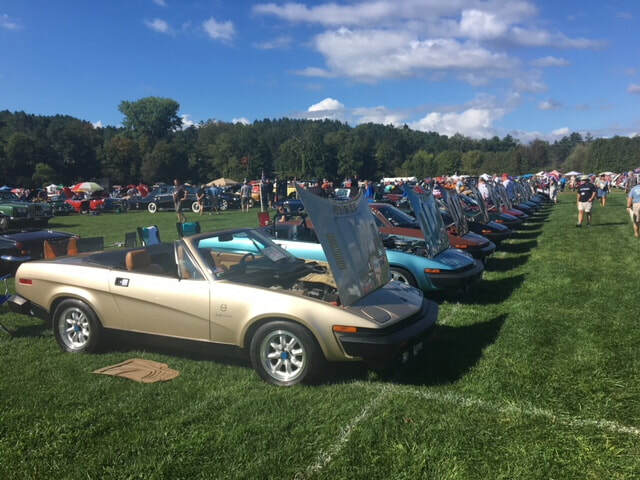 This inaugural event was organized by the MG Club, which also invited the Triumph Club and Jaguar Clubs to participate. 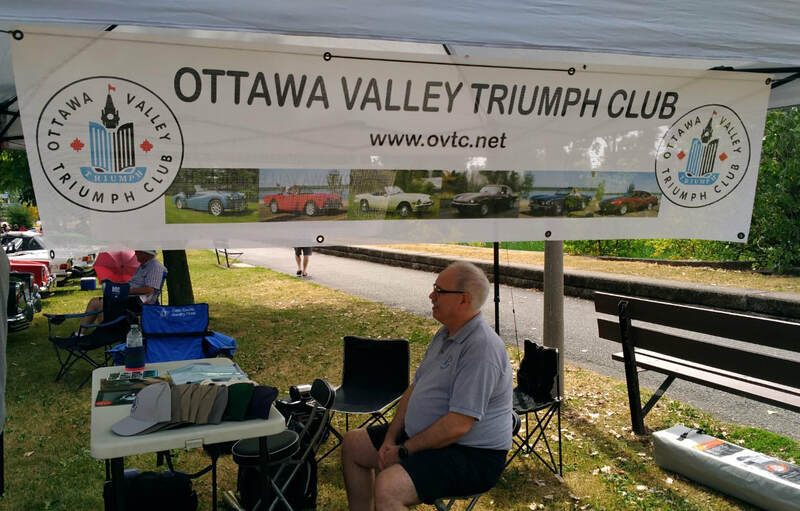 The OVTC was represented by two teams - Team TR3 (Chuck and Marjorie and Mike G.) and Team TR4 (Mike S., Guy, and Marie and Phil). 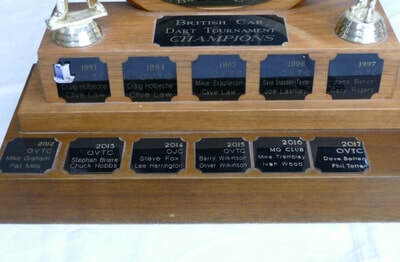 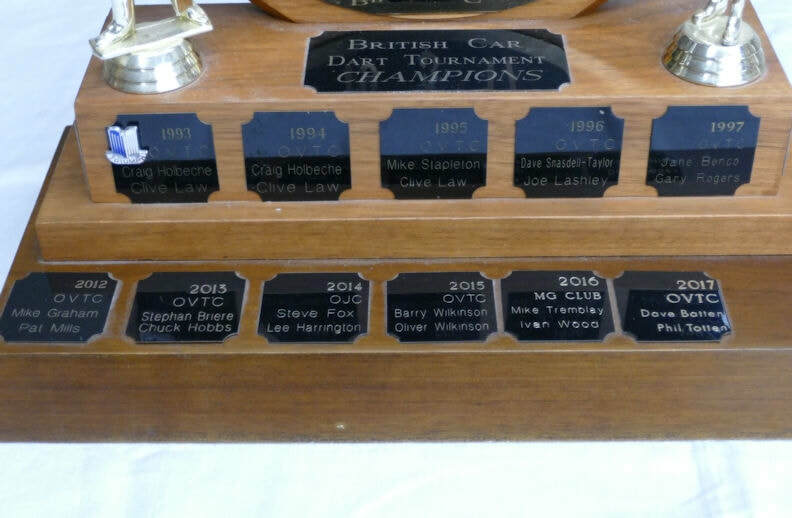 Congratulations to the Team TR4, which won the competition and the new challenge trophy. 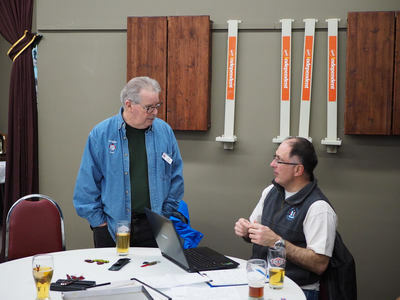 Team TR3 tied for second but lost the tie-breaker to a team from the MG club. A fun afternoon for everyone who participated. 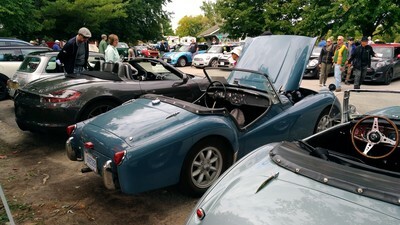 Many thanks to the MG club for the invitation and hospitality. 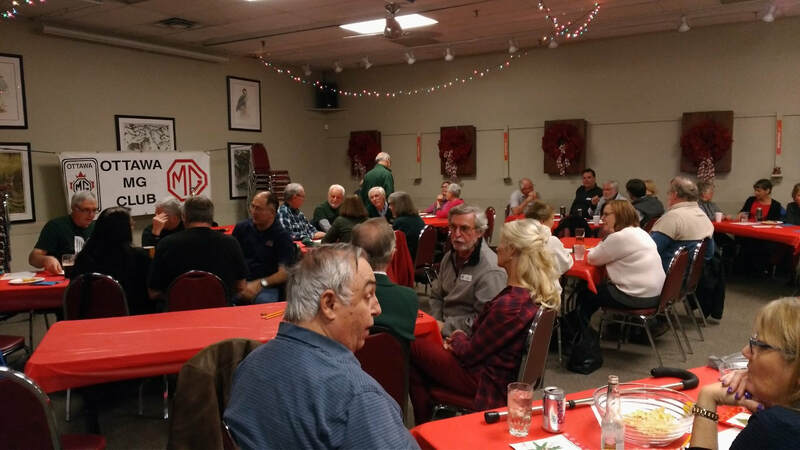 Great time and good attendance at the annual Christmas party. 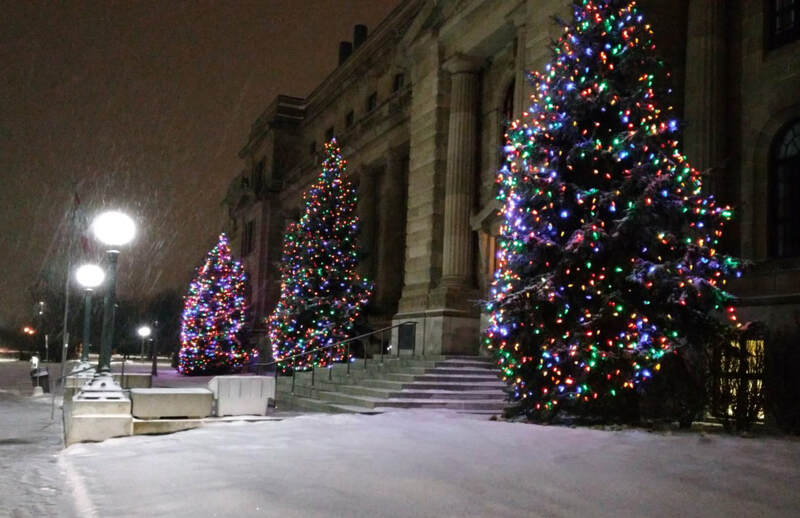 Light snow fall helped set the festive mood.